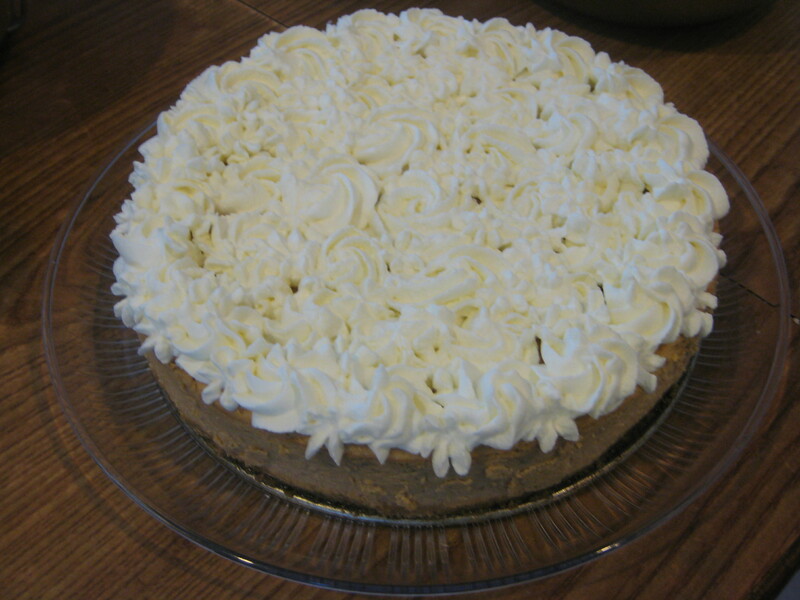 Every year I always seem to have pumpkin pie and that was until last year. 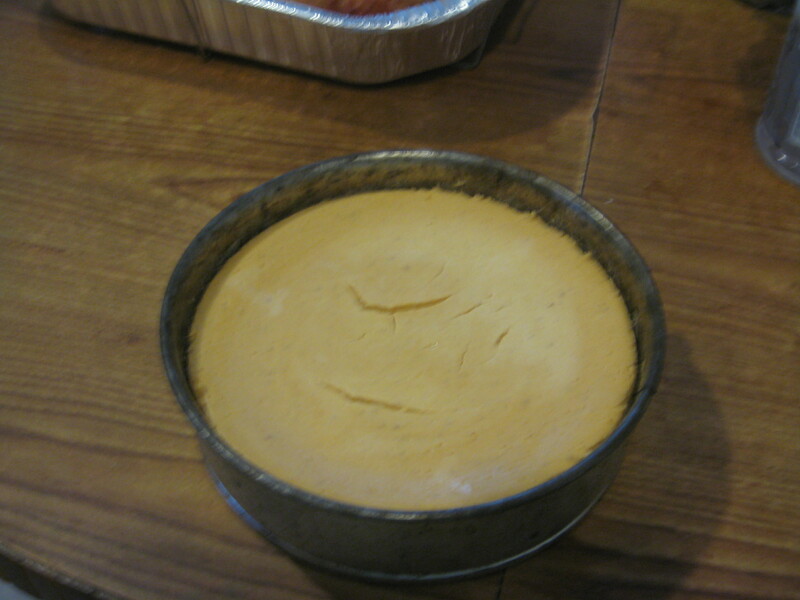 Last year I had made a double layered pumpkin cheesecake and it was pretty simple to make without to much of a hassle in the kitchen. 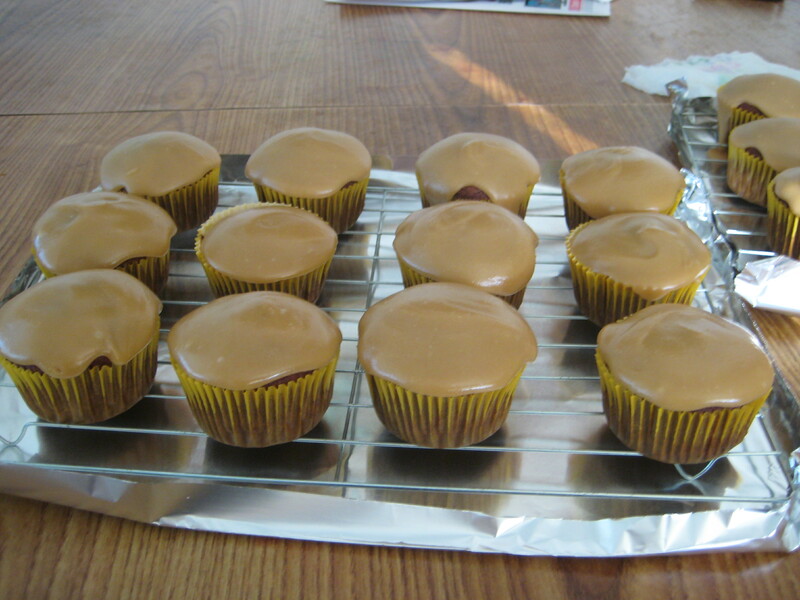 I was even able to make it into a triple layered, by adding dulce de leche to the bottom. 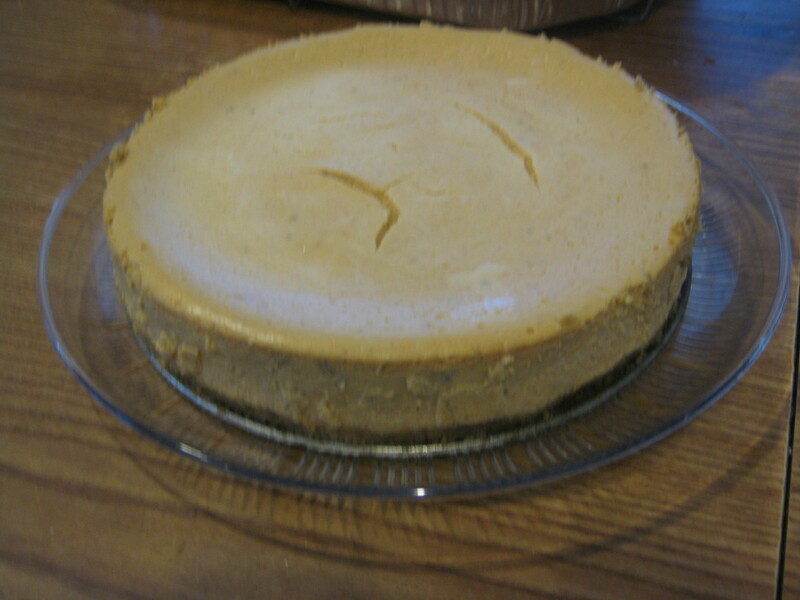 This year I feel the need to up the difficulty since I will be making less desserts. 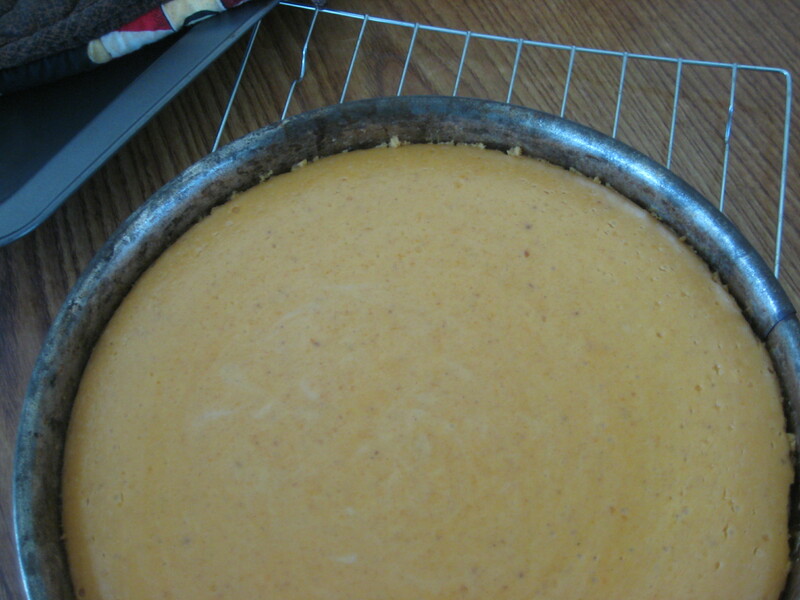 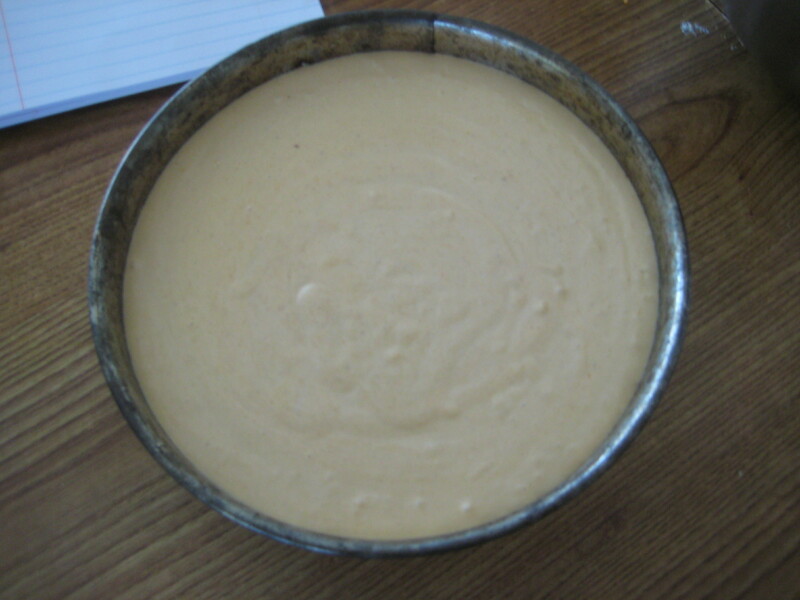 So a classic pumpkin cheesecake will be made and this one will require more time on it. 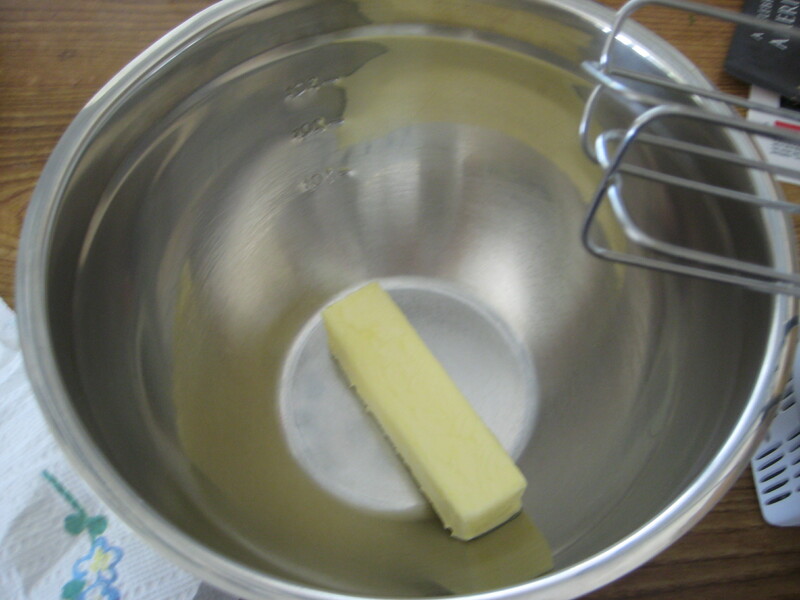 Step 2: Butter a 9-inch spring-form pan. 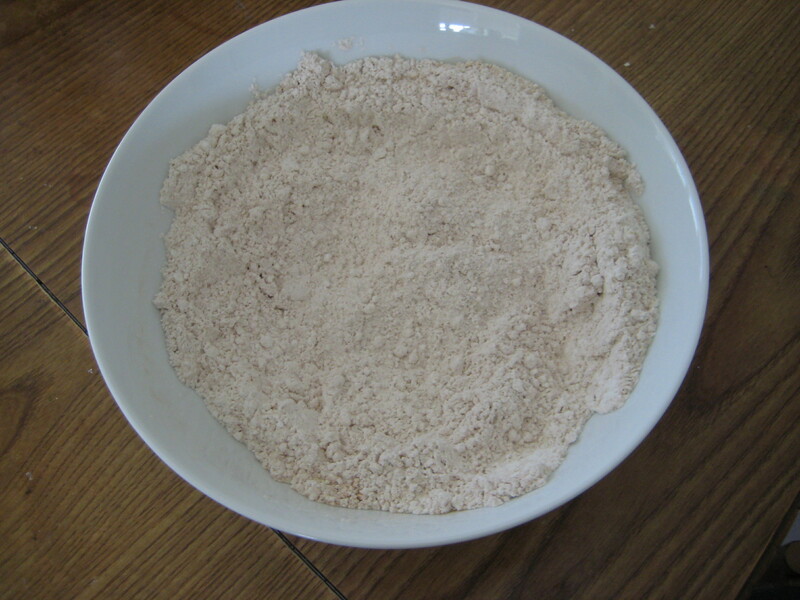 Step 3: In a medium bowl, combine all the crust ingredients until moistened. 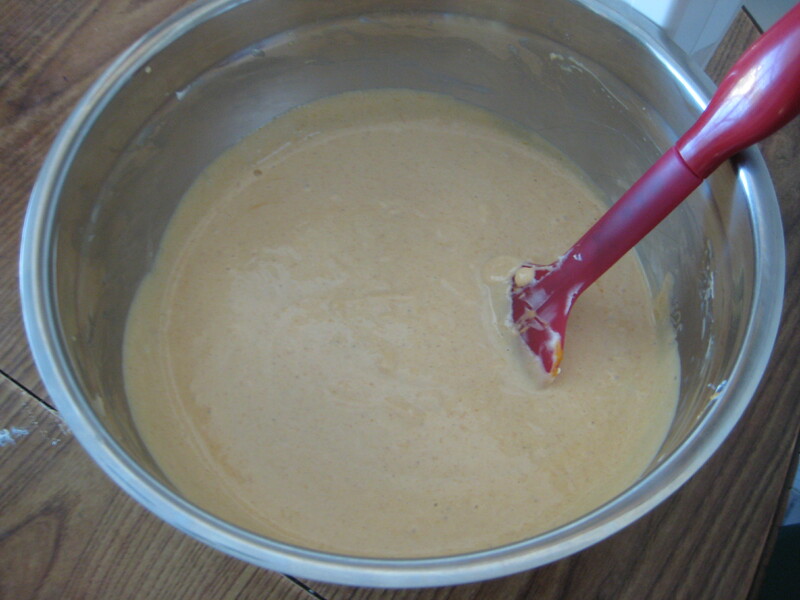 Step 4: Press the mixture into the bottom of the pan evenly. 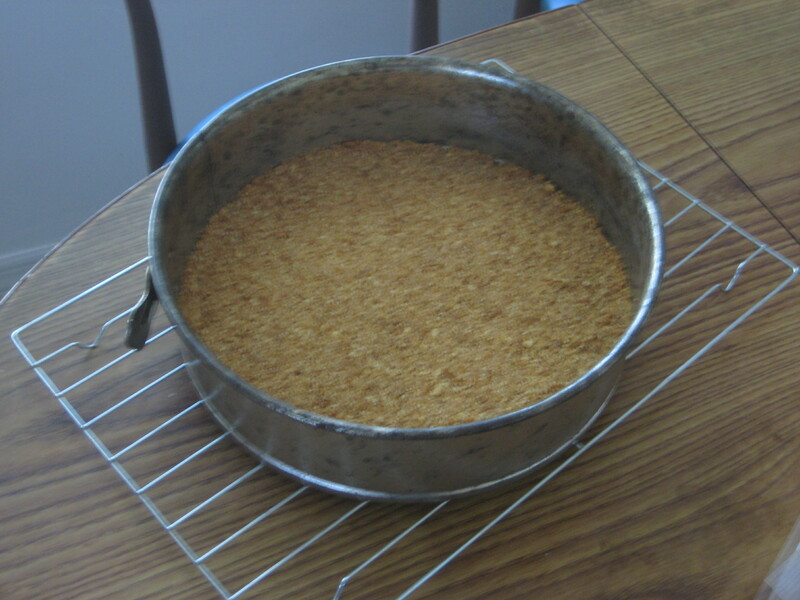 Step 5: Bake crust for 8-10 minutes and cool on wire rack while making the filling. 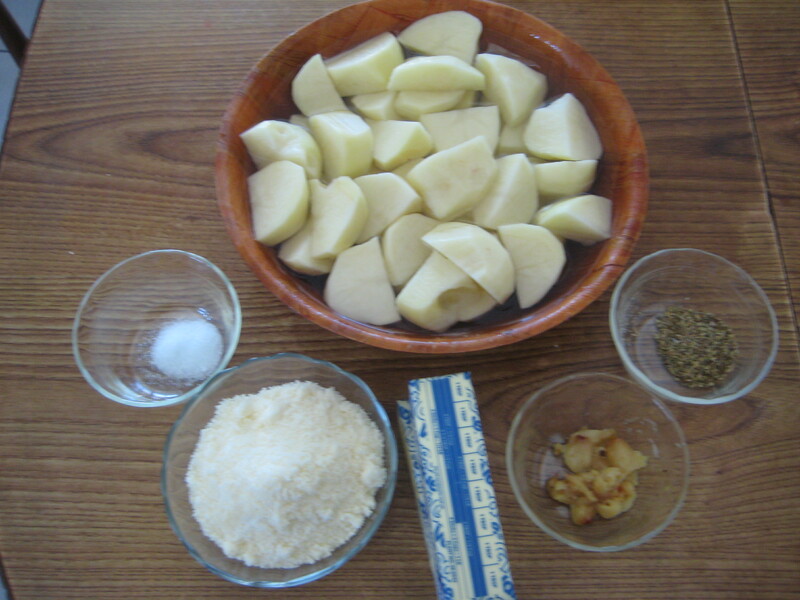 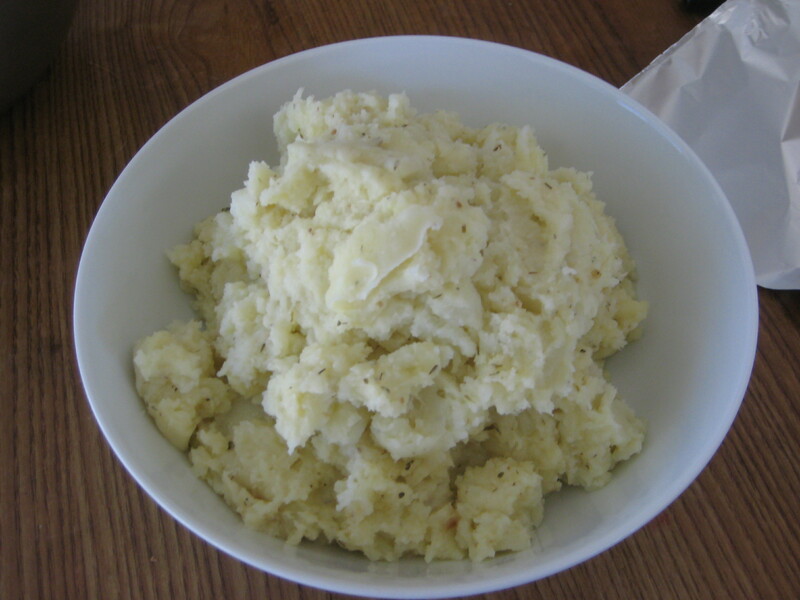 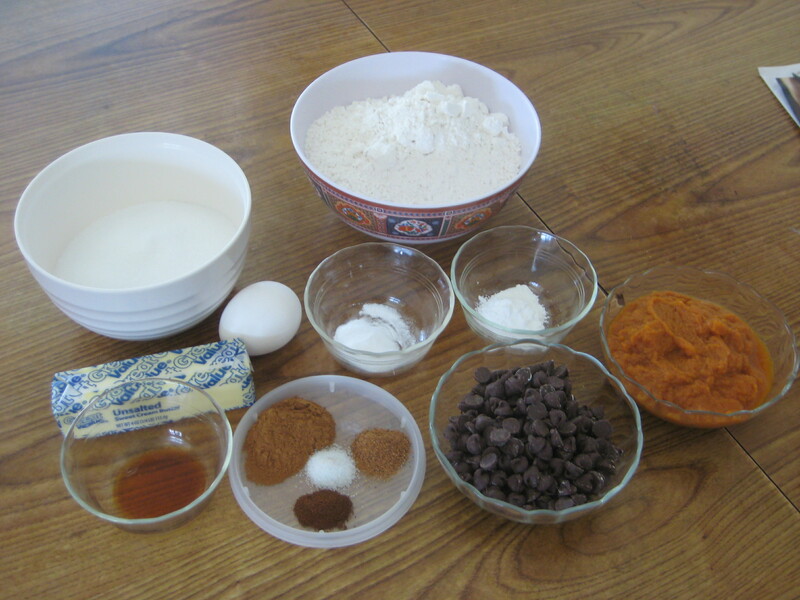 Step 1: In a medium bowl, combine the first 7 ingredients (the dry ingredients); set aside. 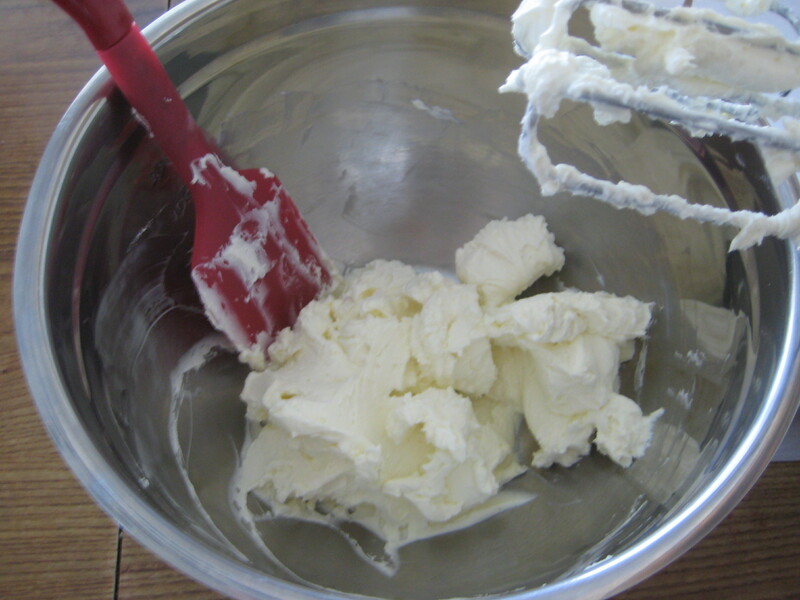 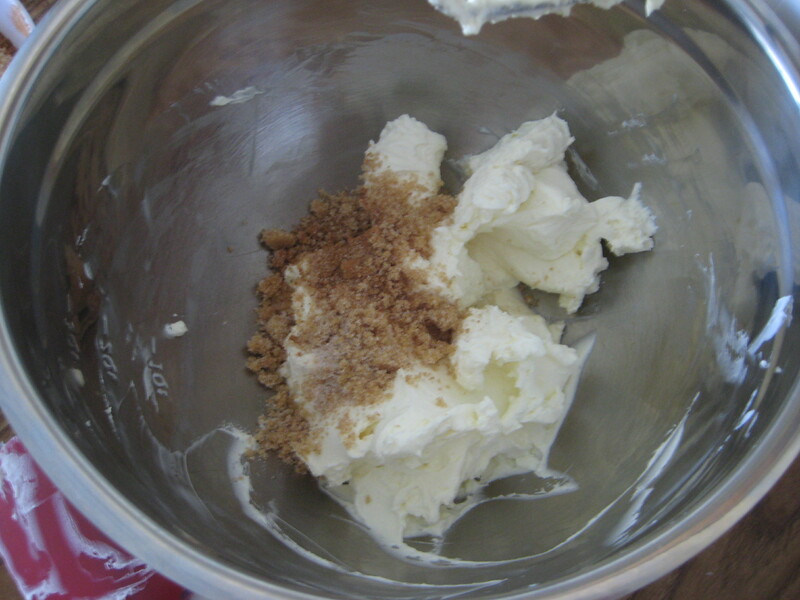 Step 2: In a large bowl, beat the cream cheese until smooth, about 2 minutes. 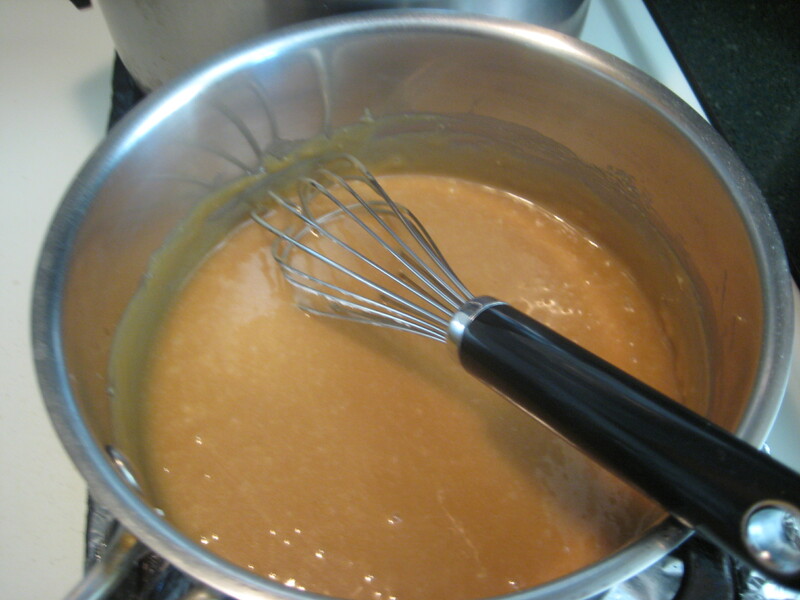 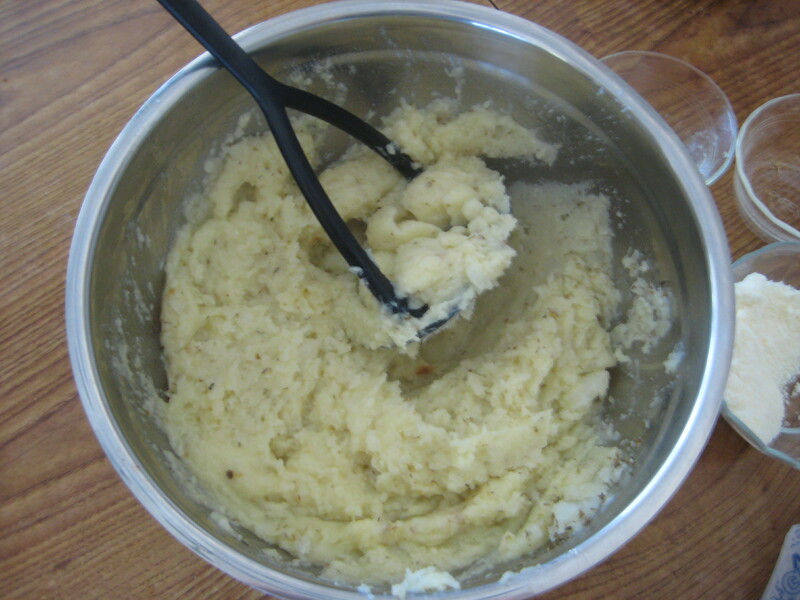 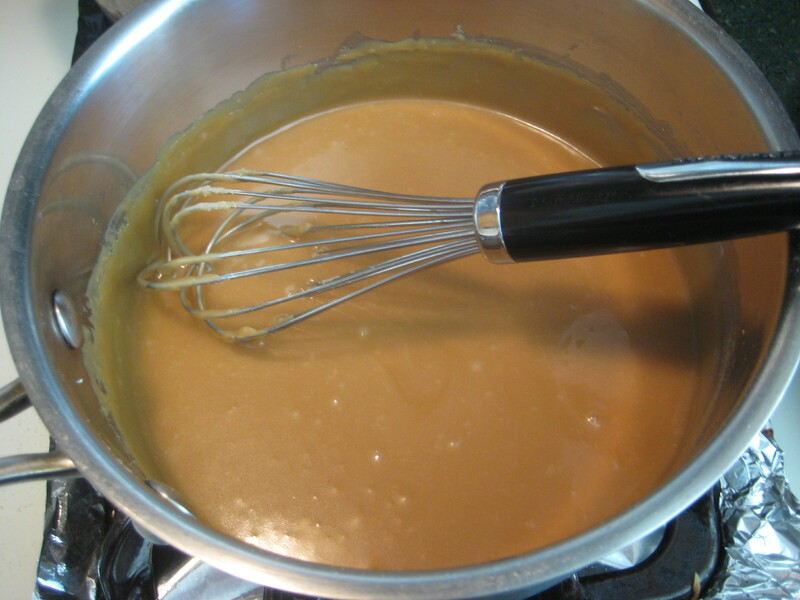 Step 3: Gradually add the dry mixture and beat until creamy and smooth, about 1-2 minutes. 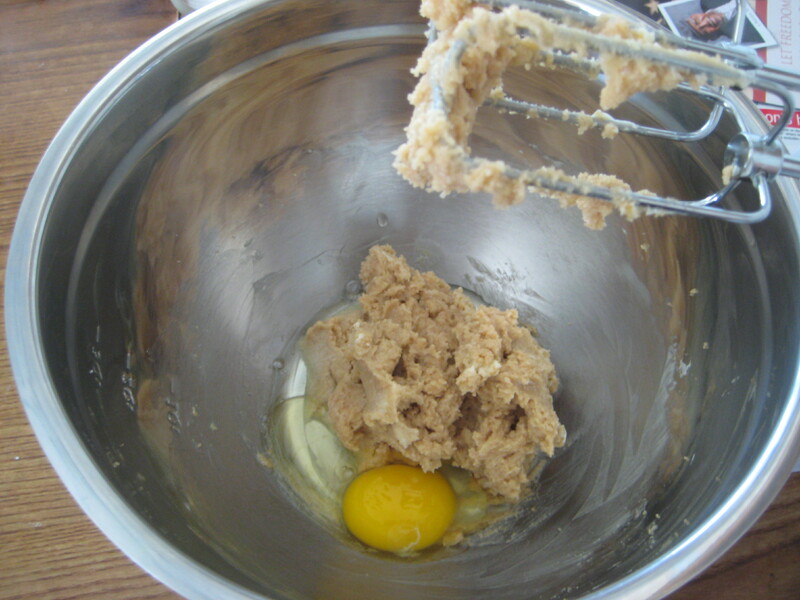 Step 4: Add the eggs, one at a time, beating well after each addition. 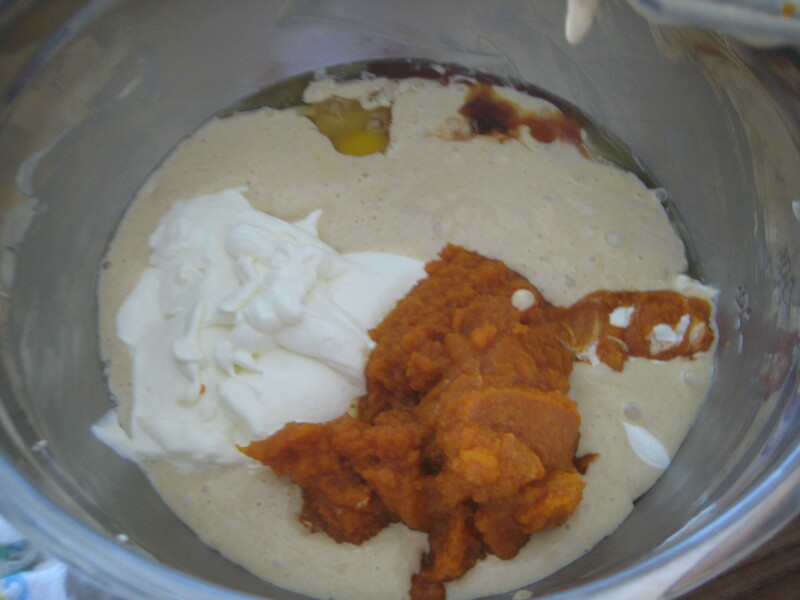 Step 5: On the last egg add the vanilla, pumpkin, and sour cream. 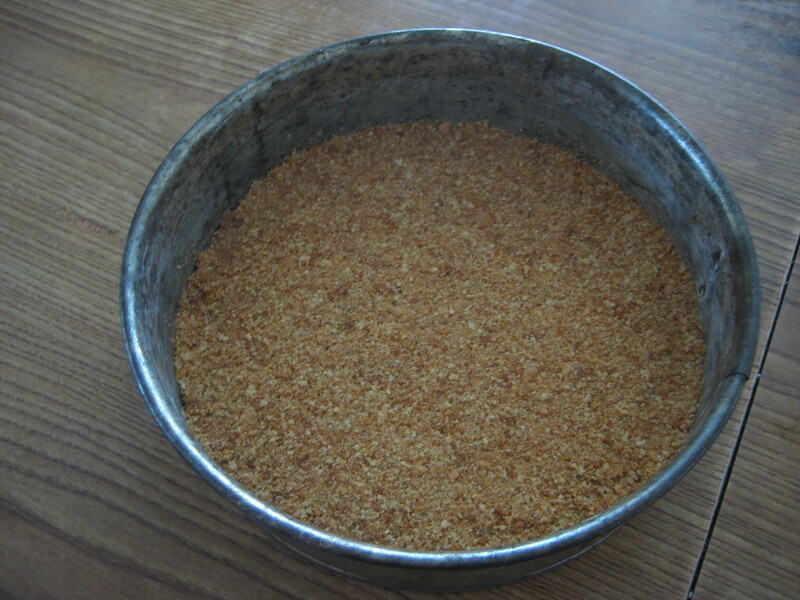 Step 6: Pour the filling over the crust and place pan onto a baking sheet. 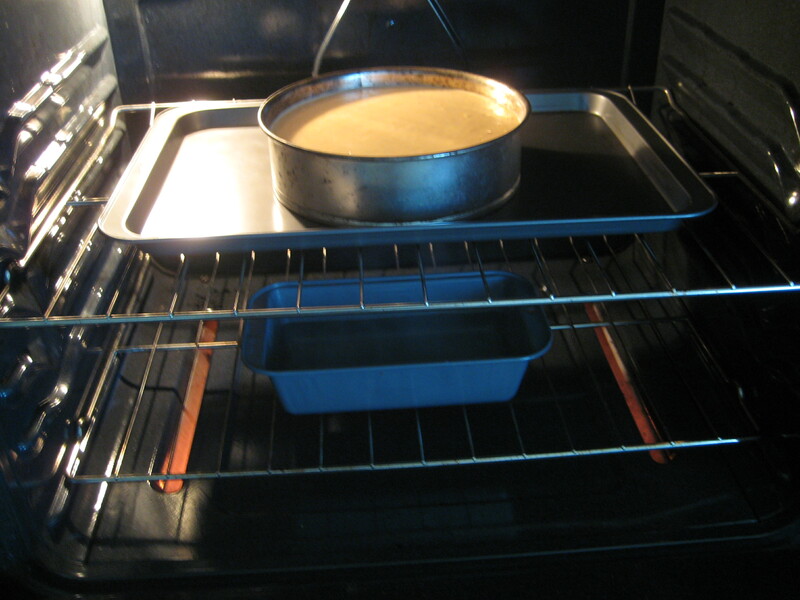 Step 7: Set cake on the middle rack. 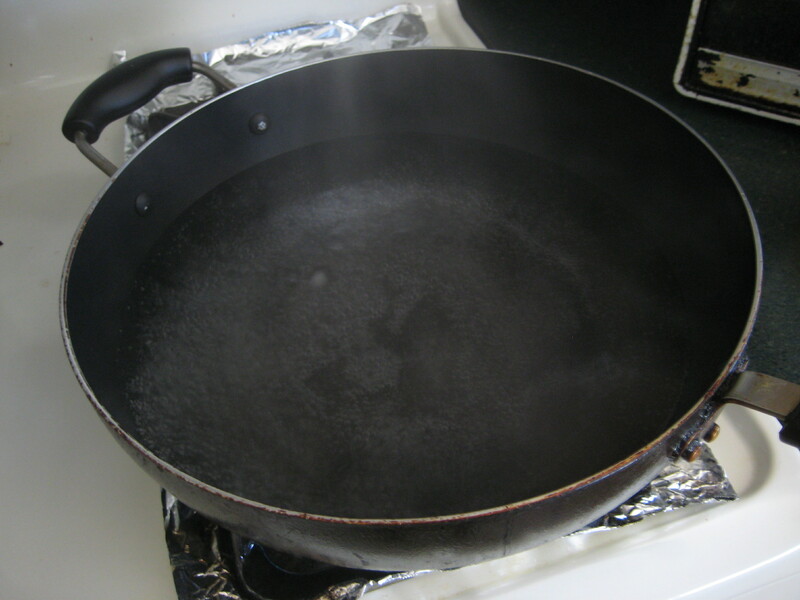 Step 8: Place a pan on the bottom shelf filled halfway with hot water. 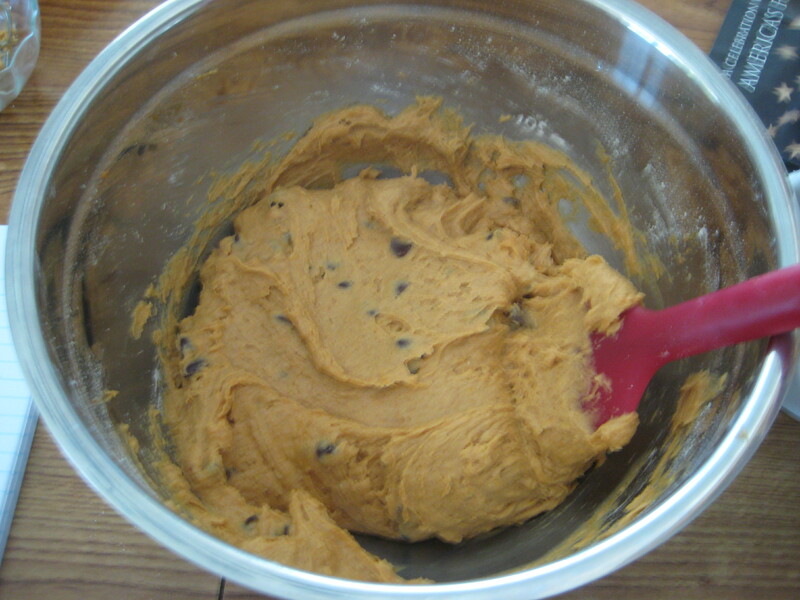 Step 9: Bake for 30 minutes. 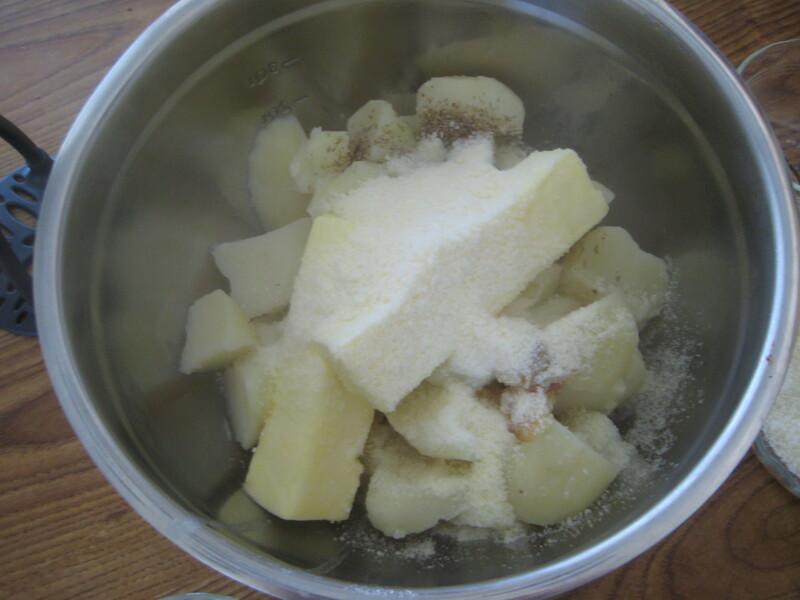 Step 10: Reduce the temperature to 325°F and bake for 10-20 minutes, or until the edges are puffed and the center is still wet and wobbles when gently shaken. 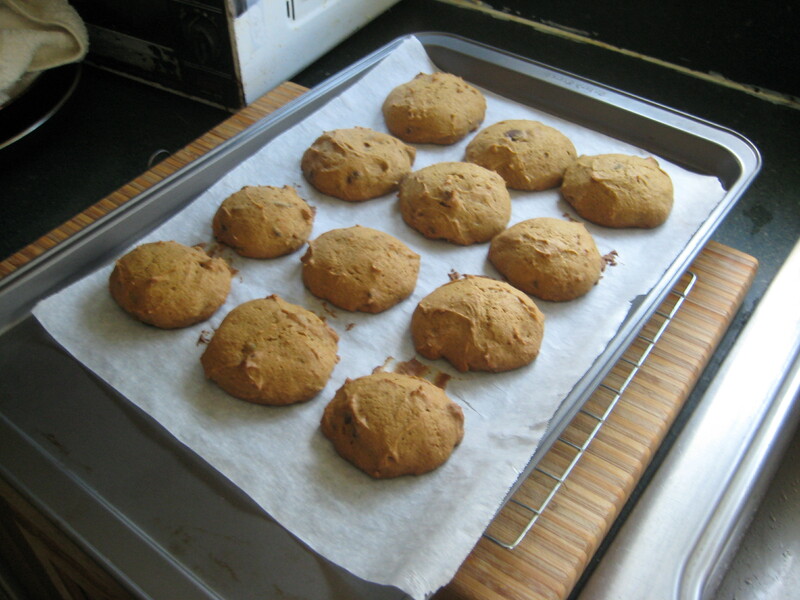 Step 11: Remove from the oven and place on a wire rack to cool. 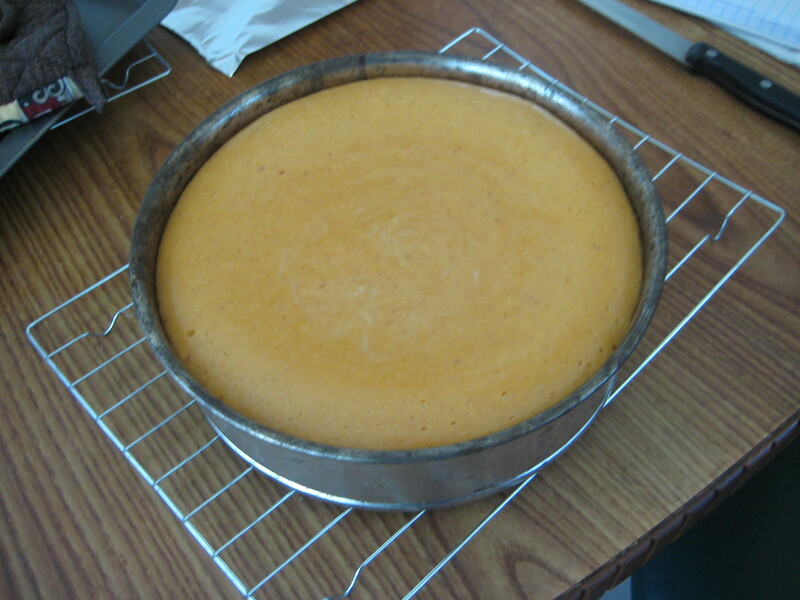 Step 12: Run a knife around the edge to loosen the cake from the pan. 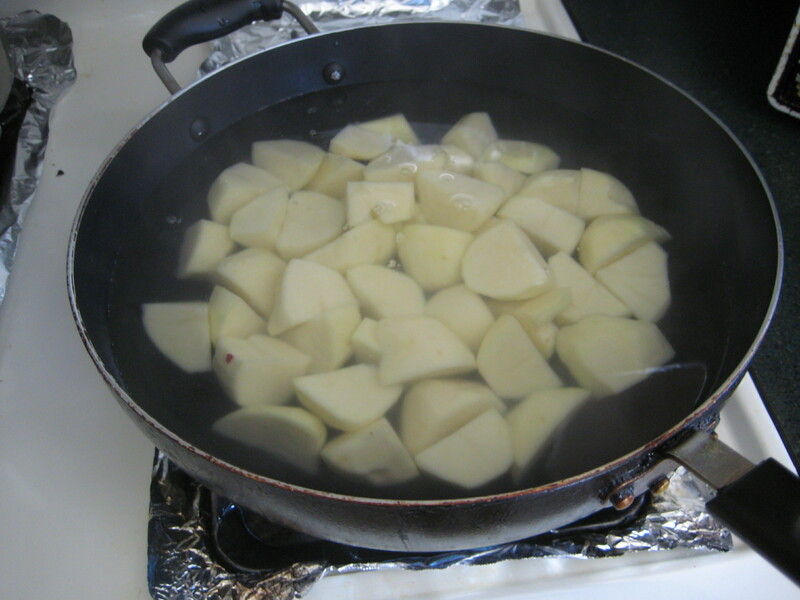 Step 13: Place foil on the top of the pan to cool slowly. 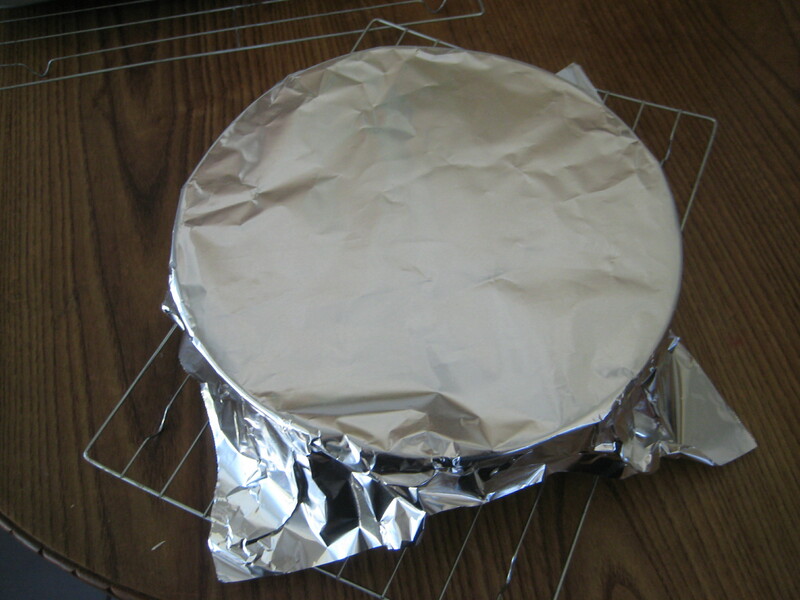 Step 14: When fully cooled, cover with plastic wrap and refrigerate overnight. 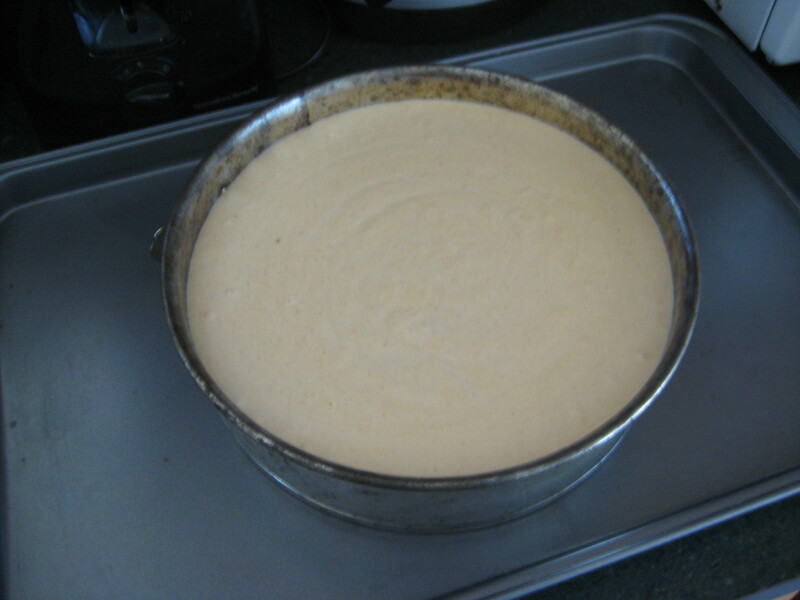 Step 15: Gently run a knife around the edge and carefully release the pan from the cake. 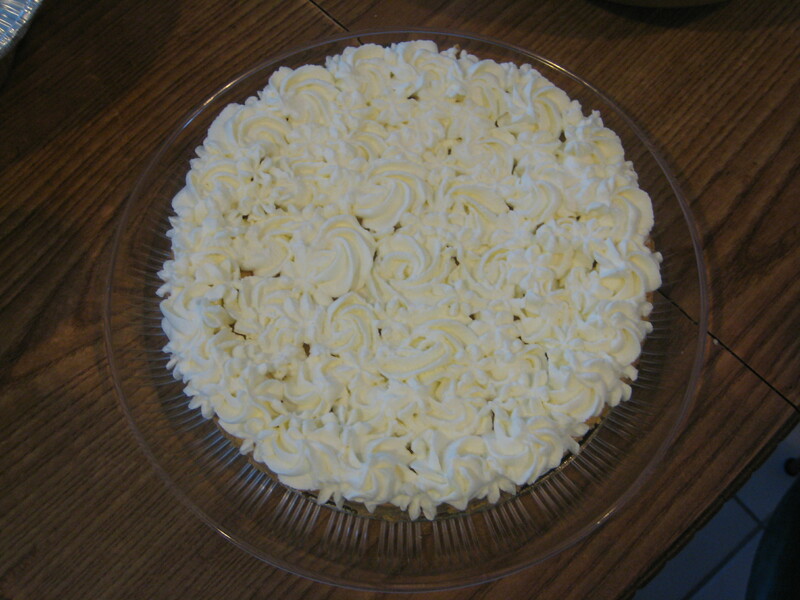 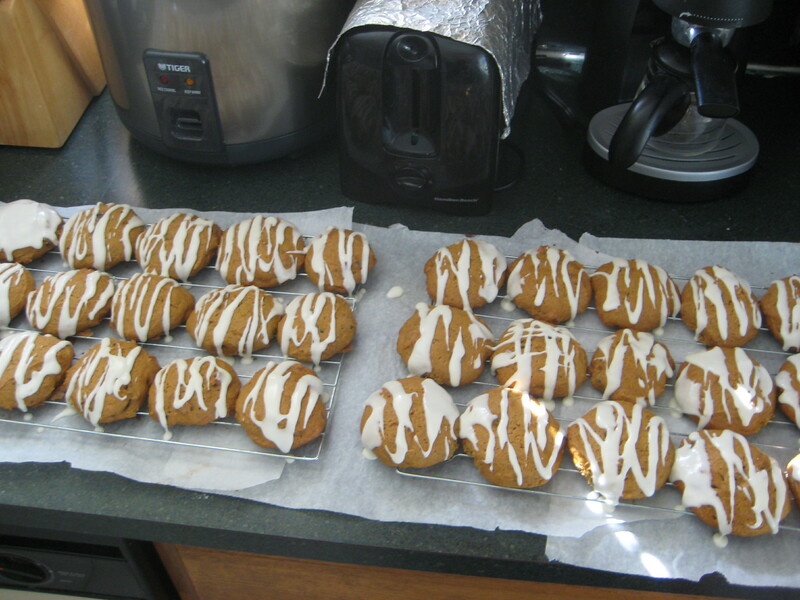 As I scoured the internet for inspiration on a new recipe to showcase during Thanksgiving. 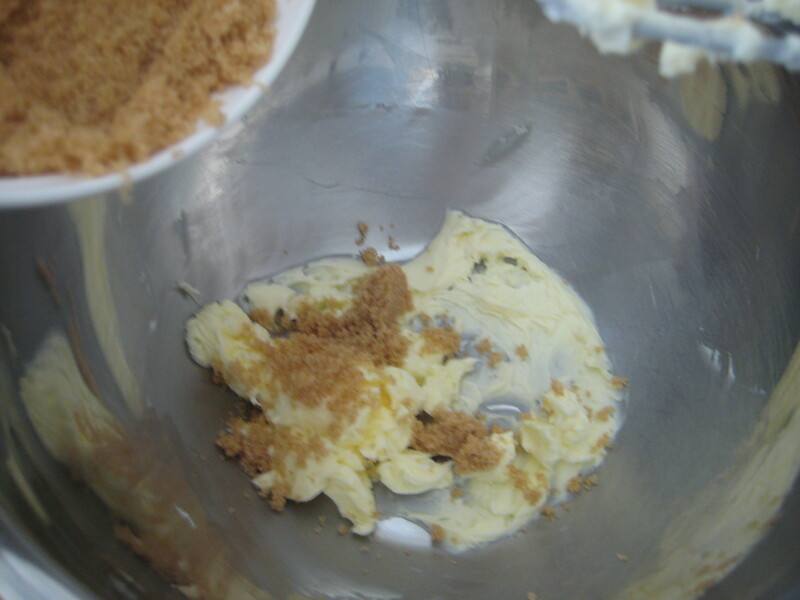 I found something intriguing and I looked around the kitchen to see what ingredients I had and what needed to be bought. 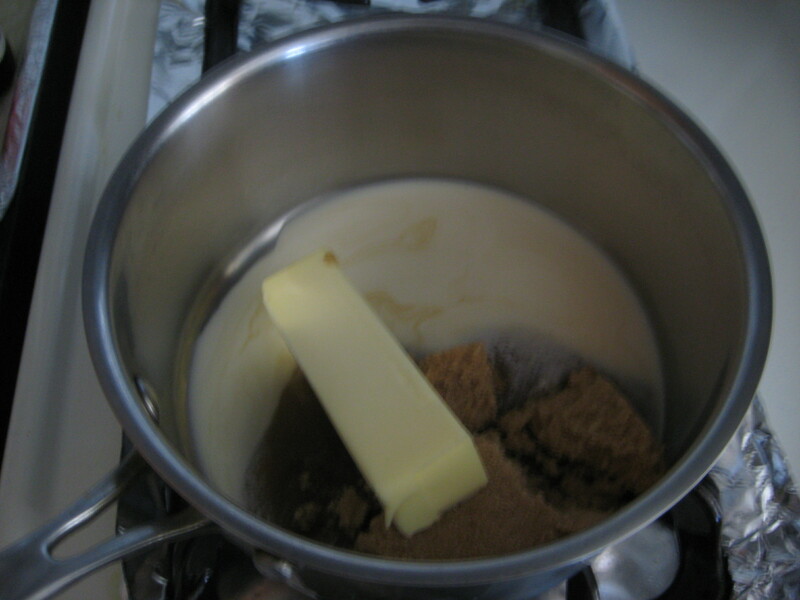 The recipe seemed simple enough to make. 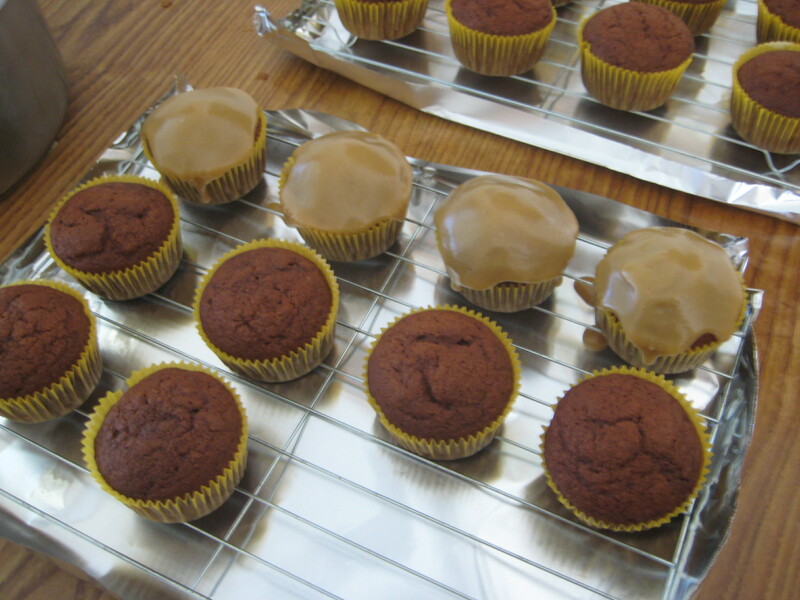 I will be making these cupcakes the day before, most likely in the morning which will give me plenty of time to allow the cakes to cool off and find space in the kitchen to store them. 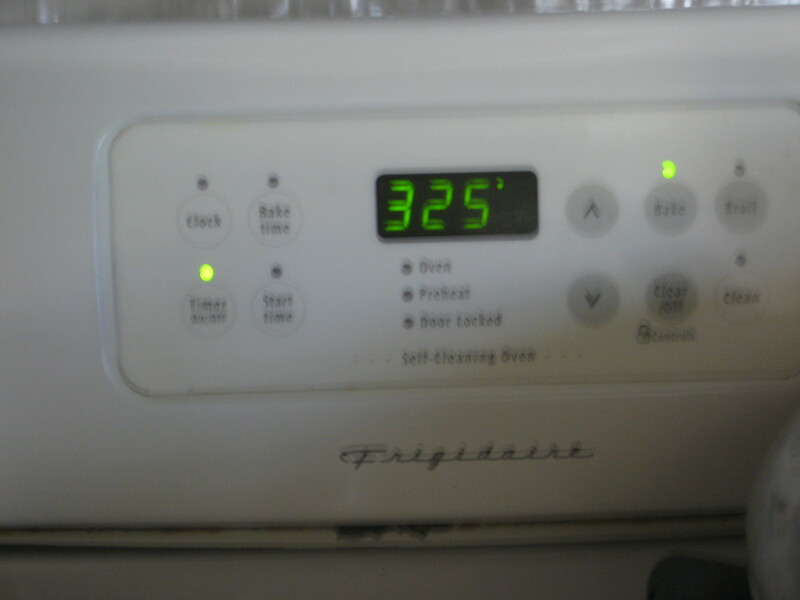 Step 1: Preheat the oven to 375°F. 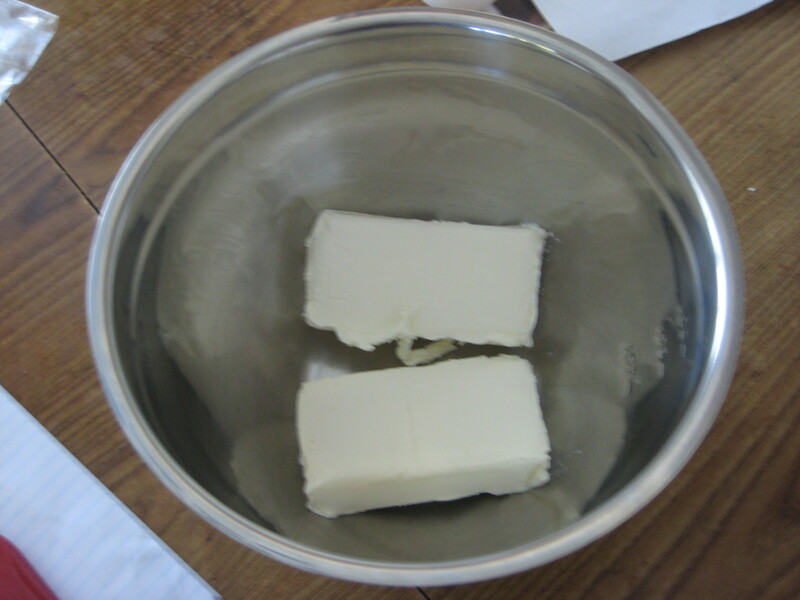 Step 2: In a large bowl, beat the butter until creamy. 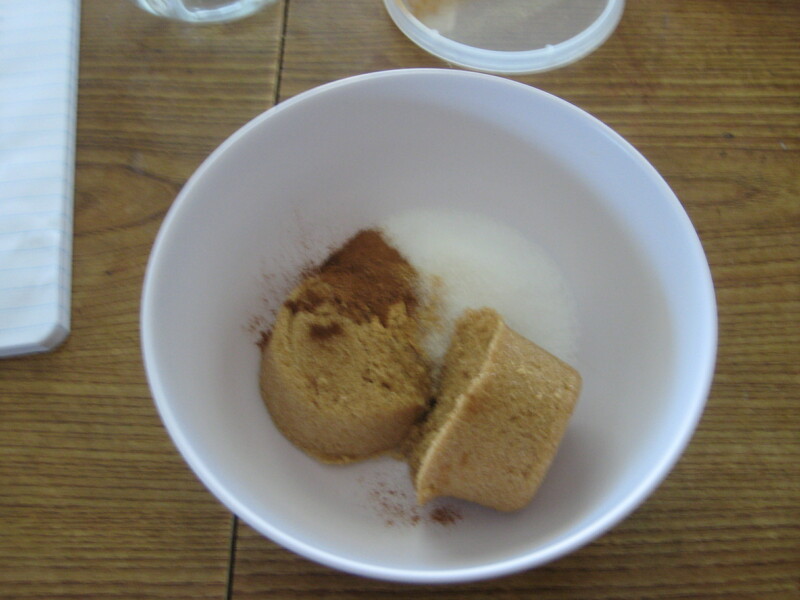 Step 3: Gradually add the brown sugar until fully incorporated. 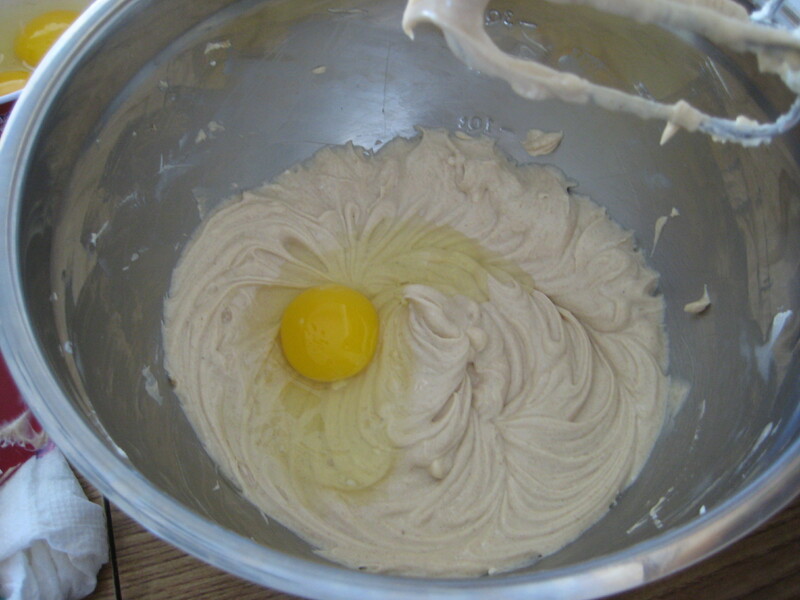 Step 4: Add the egg and mix well. 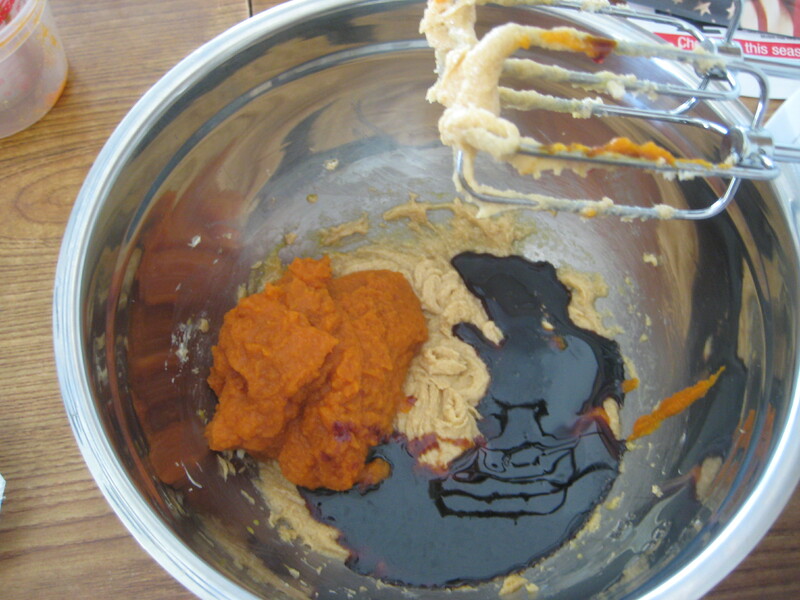 Step 5: Add the pumpkin puree and molasses, beating well. 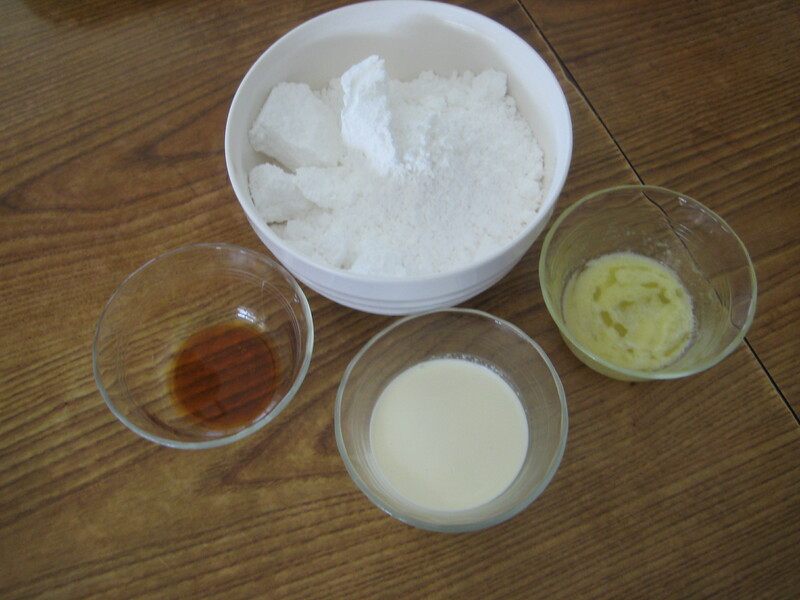 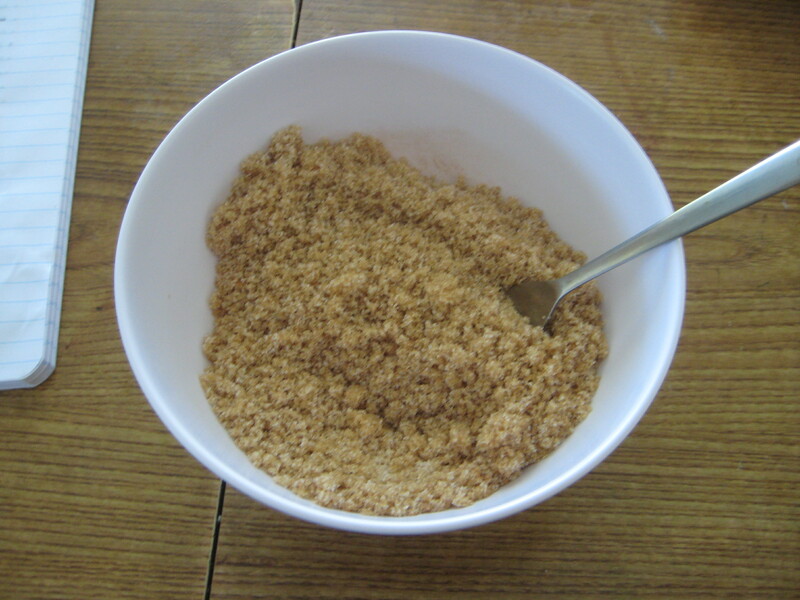 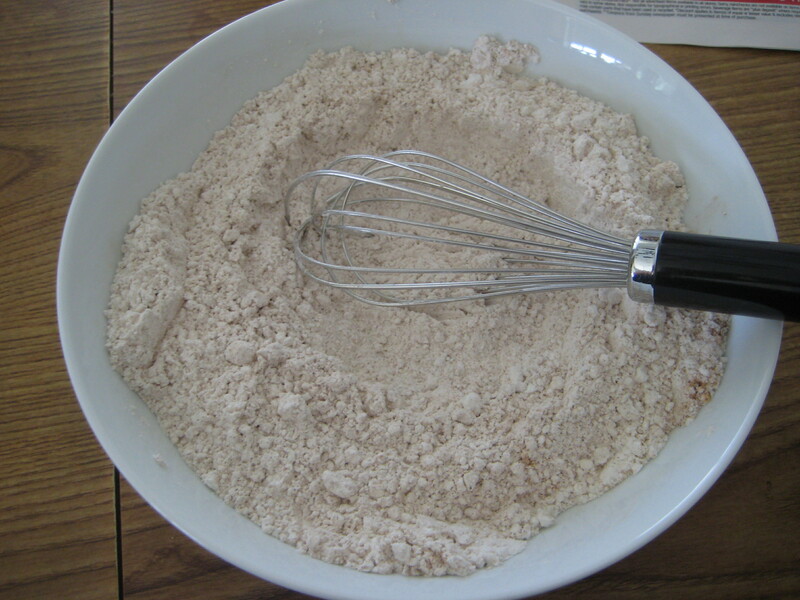 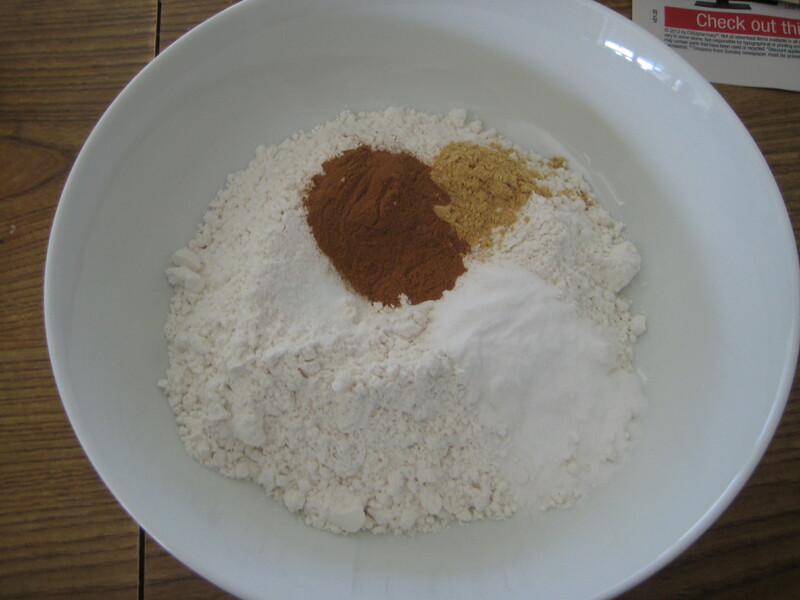 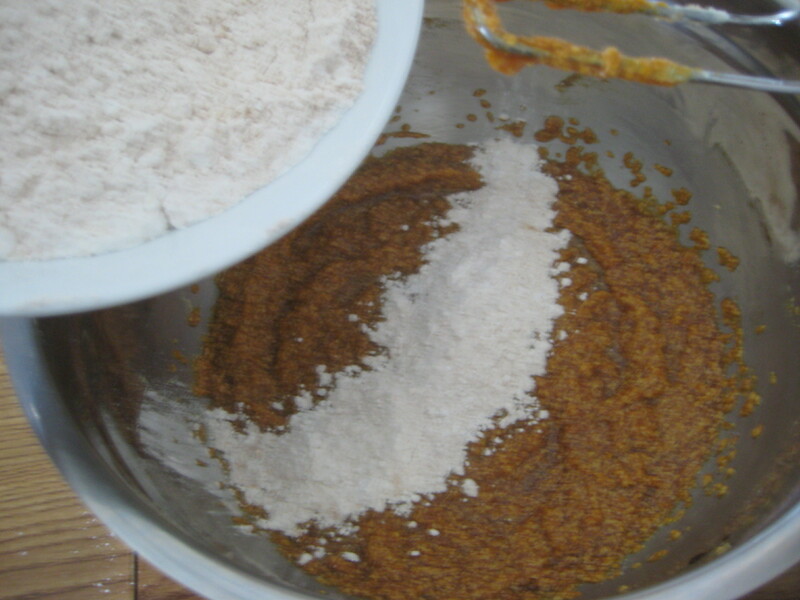 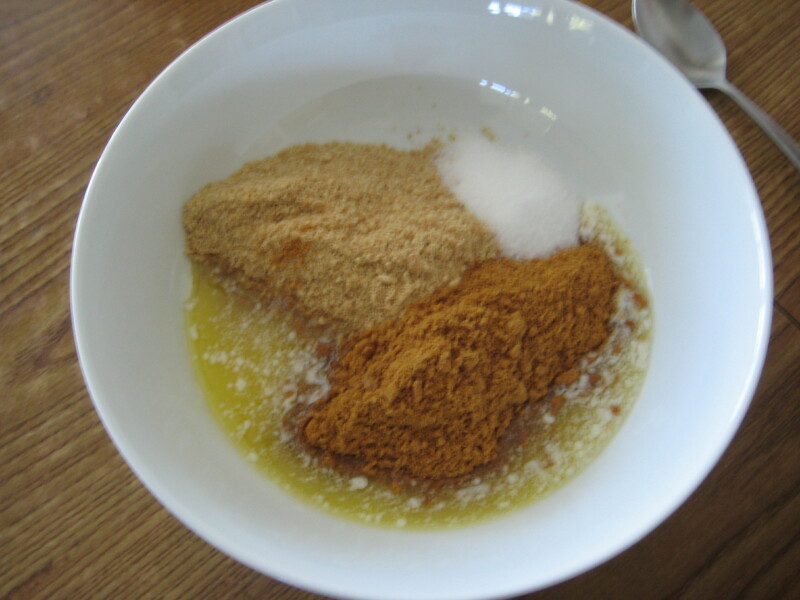 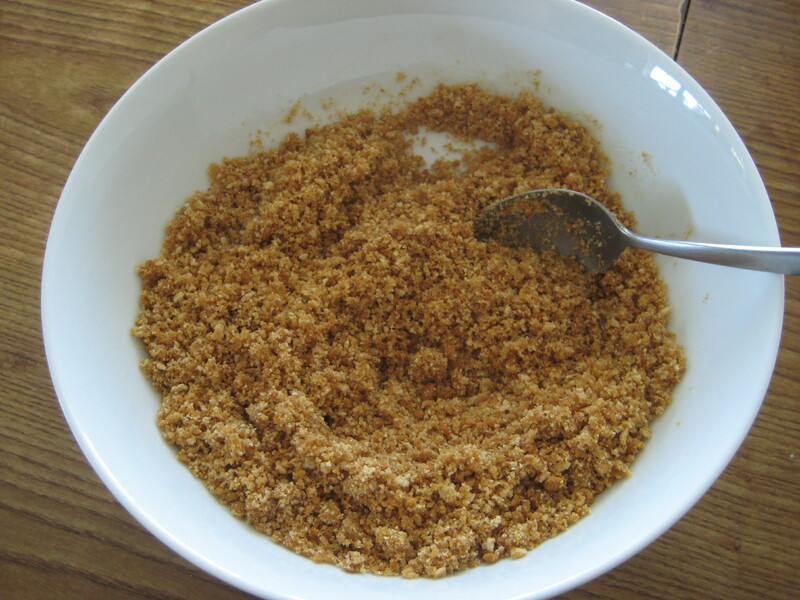 Step 6: In a medium bowl, combine the baking soda, ground ginger, ground cinnamon, salt, and flour. 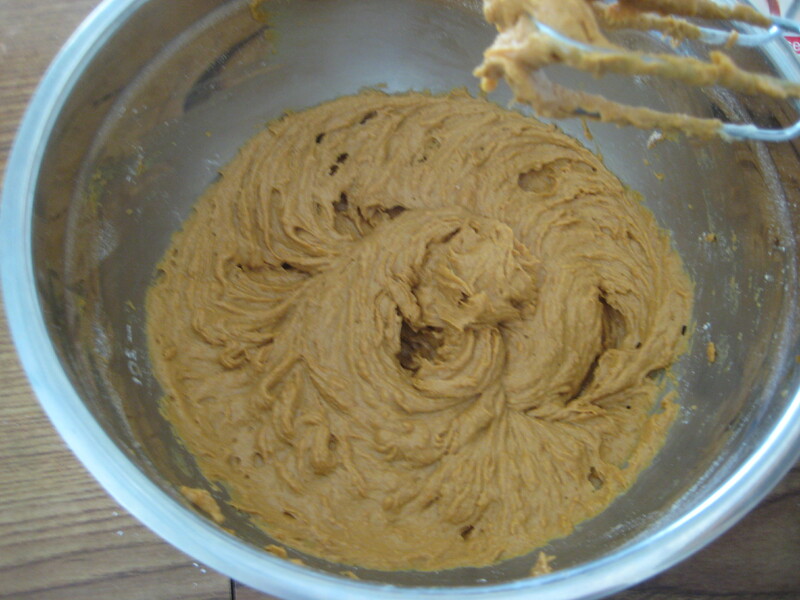 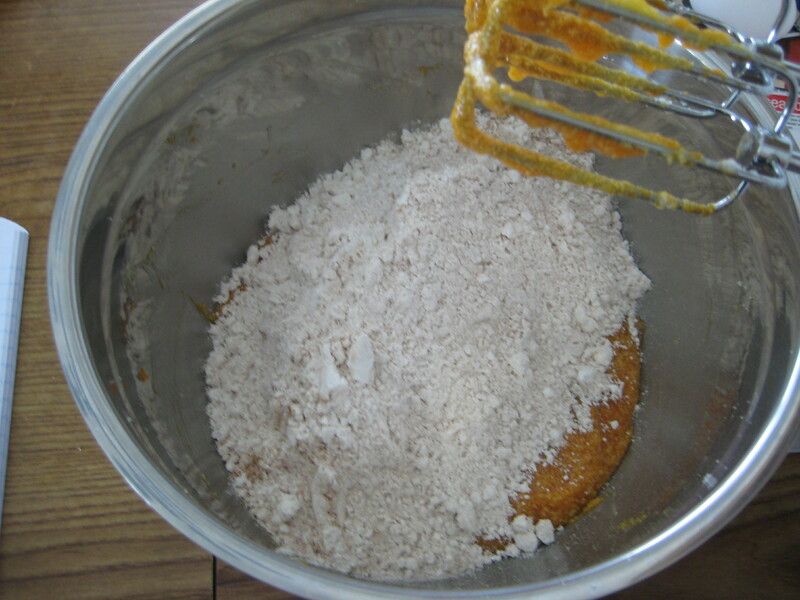 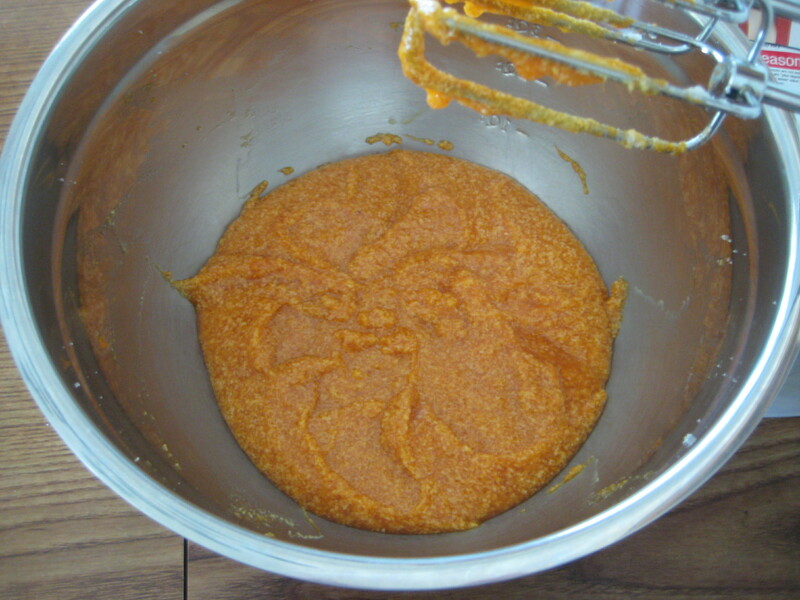 Step 7: Gradually all the flour mixture into the pumpkin mixture until blended. 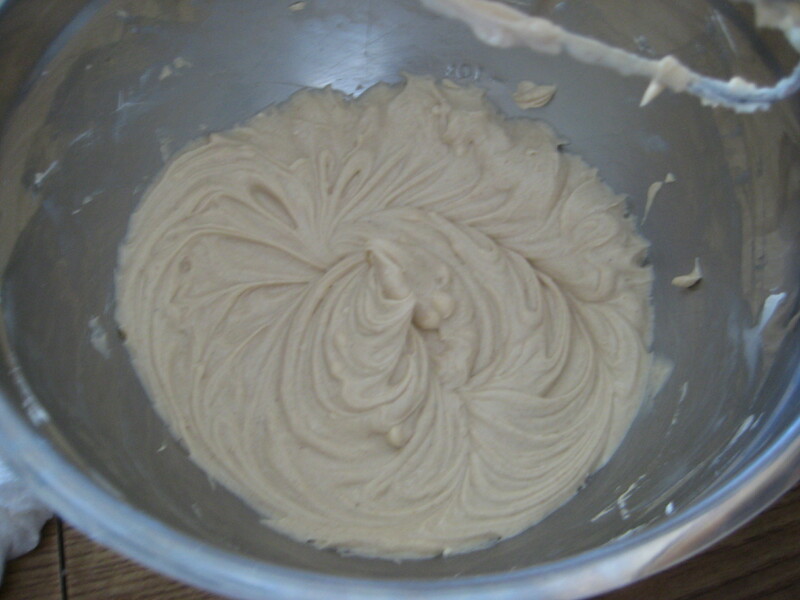 Step 8: Evenly scoop batter into lined muffin pans, filling 3/4 full. 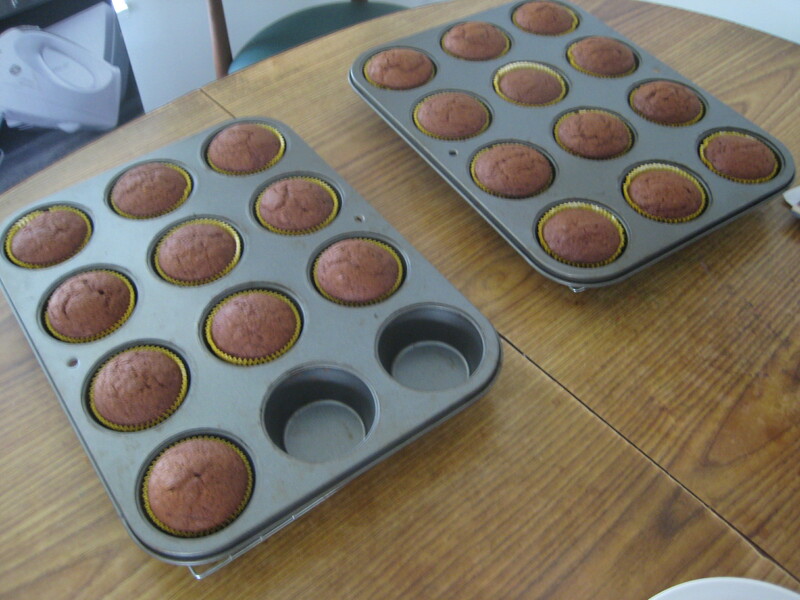 Step 9: Bake cupcakes for 20-25 minutes. 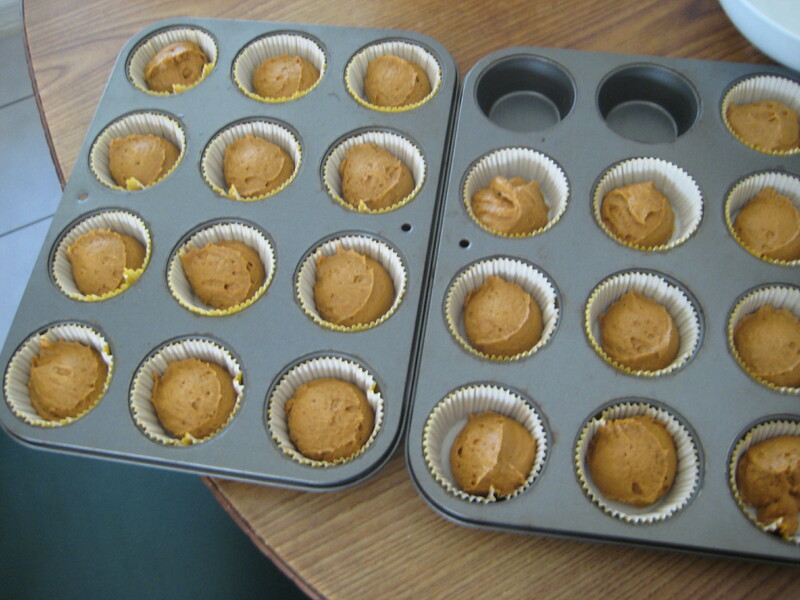 Step 10: Cool in the pan on a wire rack for 5 minutes. 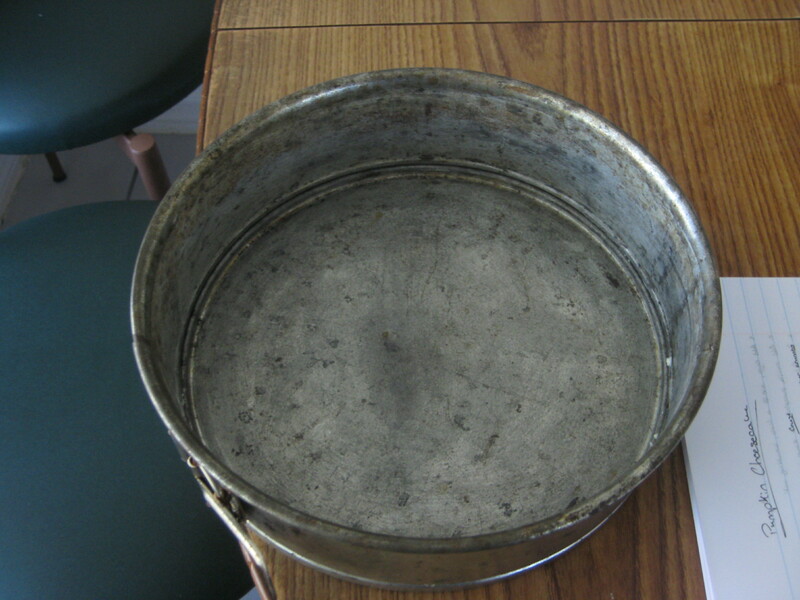 Step 11: Remove from pans and cool completely on wire racks. 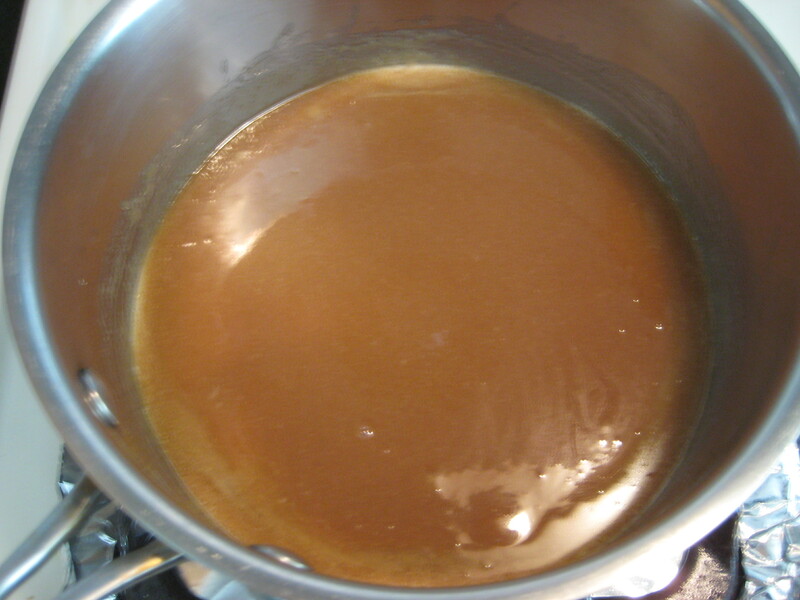 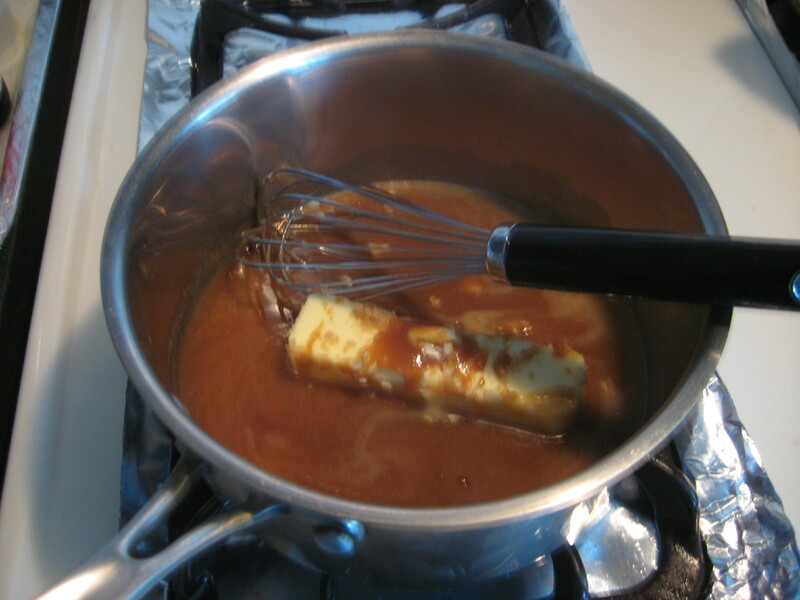 Step 1: In a saucepan over medium heat, bring the brown sugar, butter, and milk to a boil, whisking constantly for 1 minute. 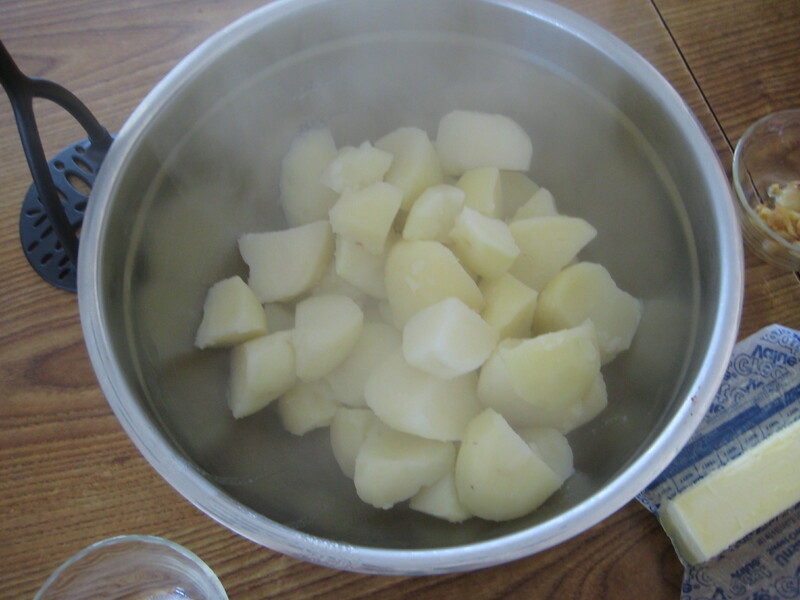 Step 2: Remove from the heat. 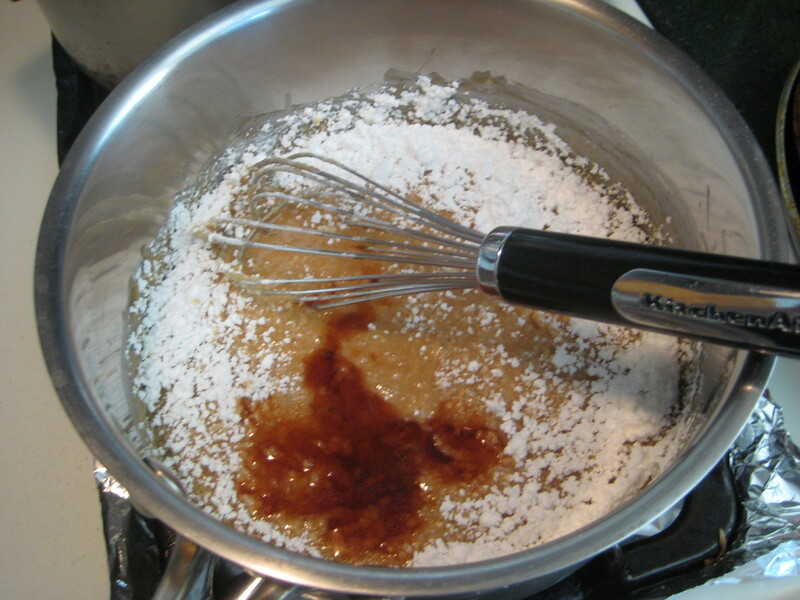 Step 3: Gradually whisk in the confectioners’ sugar and vanilla extract until smooth. 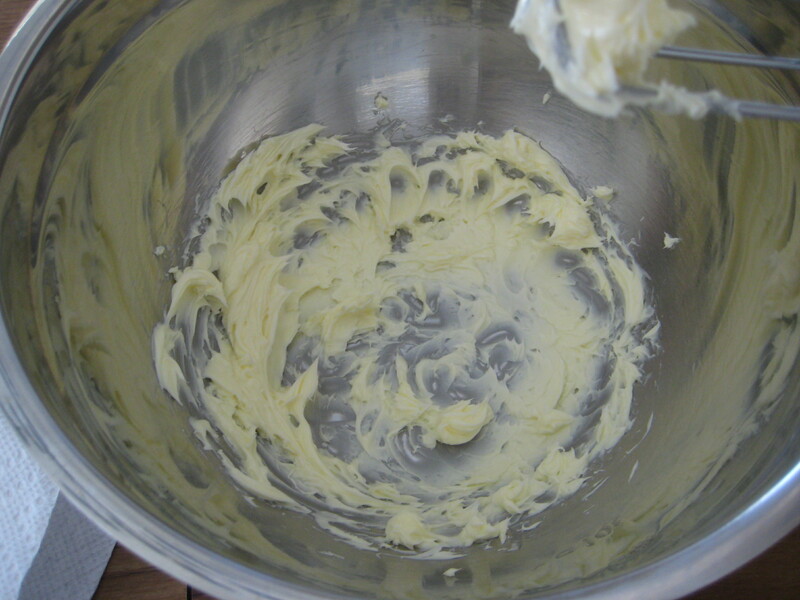 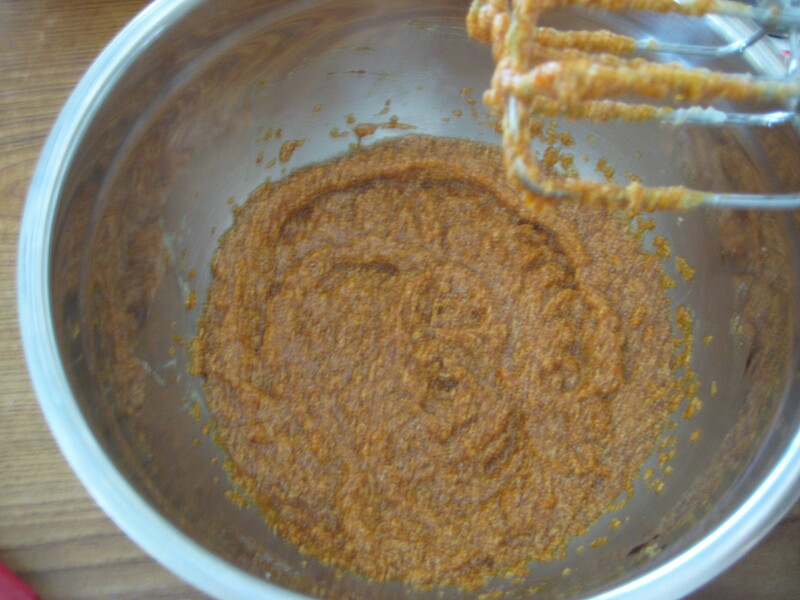 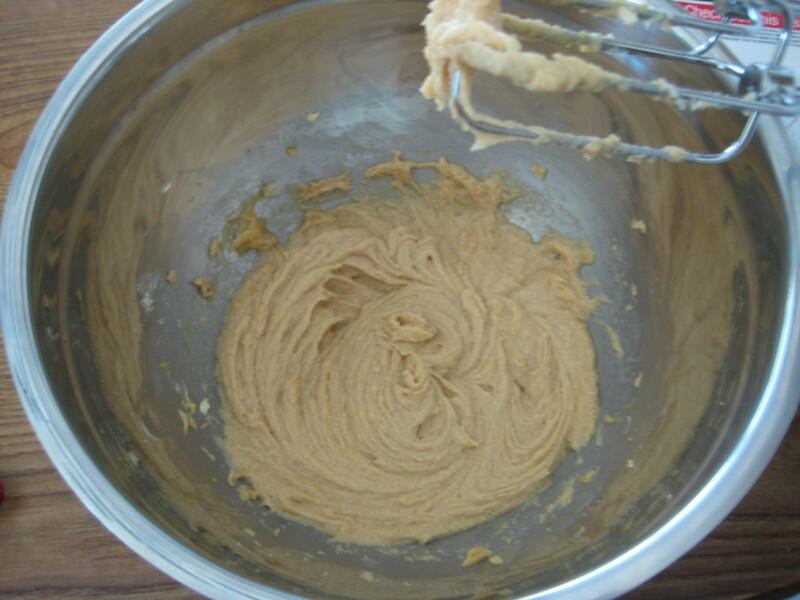 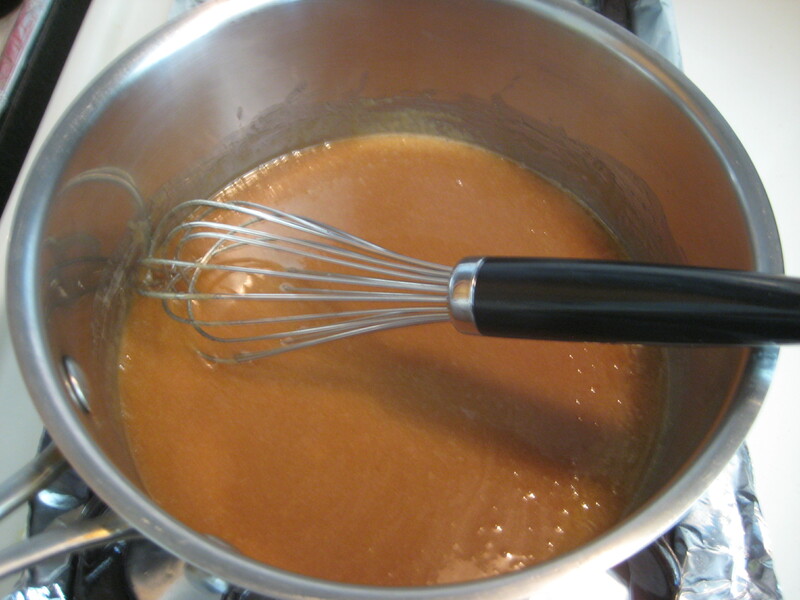 Step 4: Whisk gently for 3-5 minutes, or until the mixture begins to cool and thickens slightly. 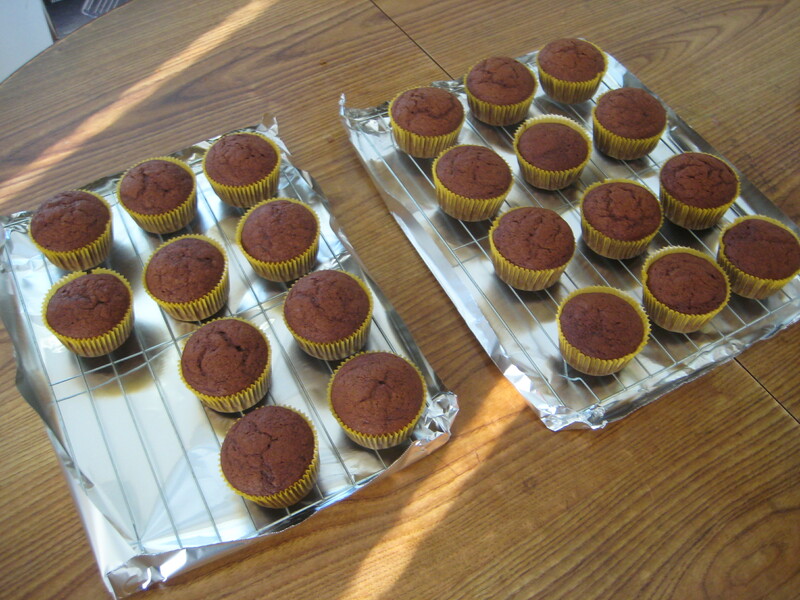 Step 5: Place foil or parchment paper under the wire racks that are covered with the cooled cupcakes. 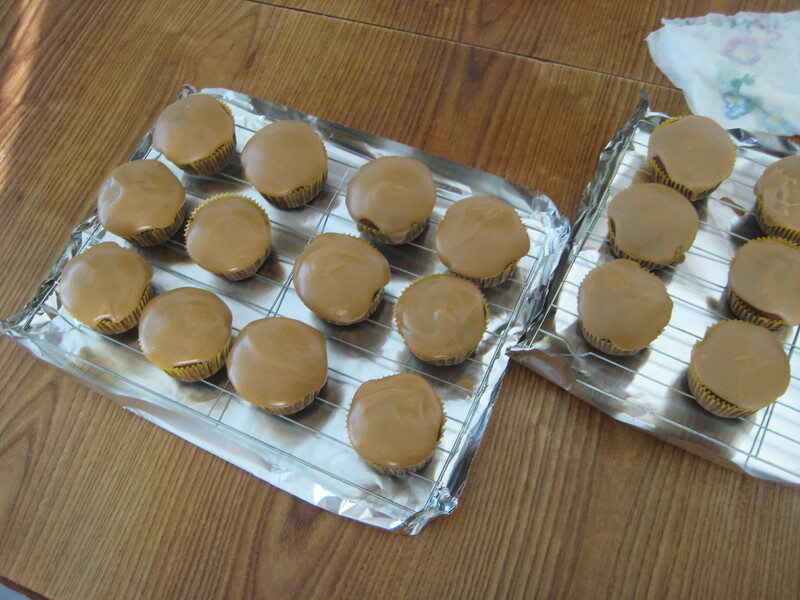 Step 6: Spoon the glaze over the cupcakes evenly and quickly. 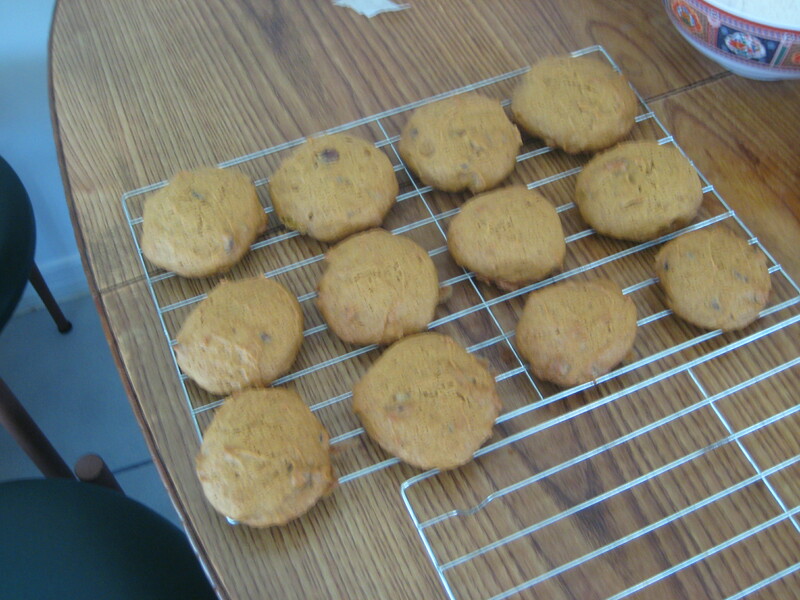 I wanted to use the leftover pumpkin puree into something easy and cookies were the answer to my problem. 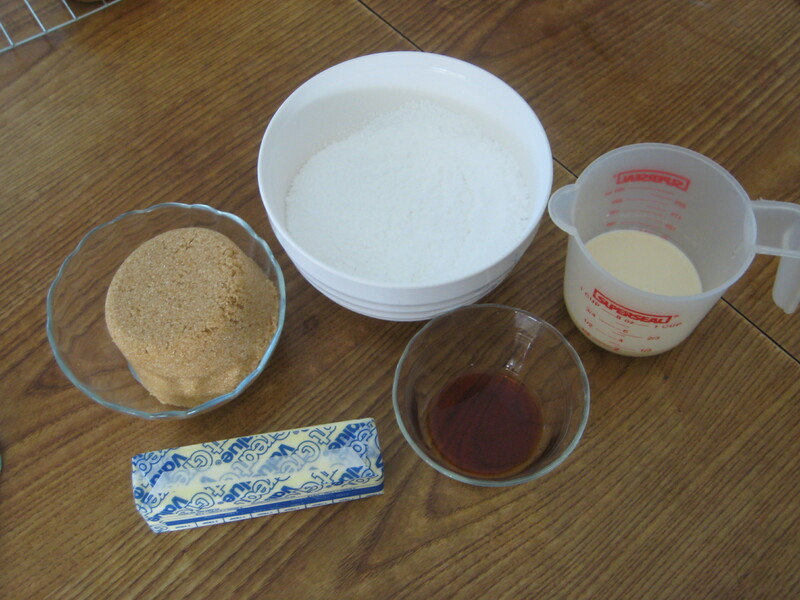 These soft, almost cake-like in texture, moist, and sweet are simple to make and will do well without being stored in an air-tight container. 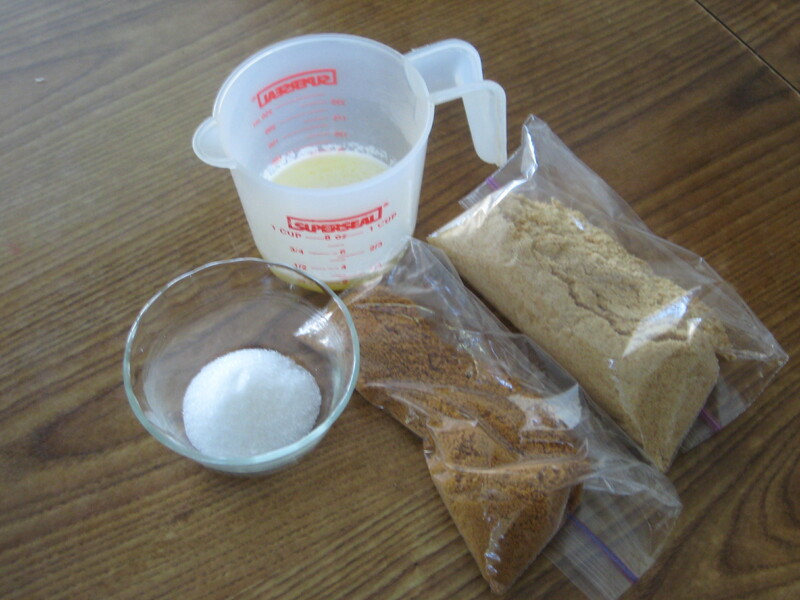 Instead store them on the counter with some plastic wrap on them and they will be fine because of the high moisture content in them. 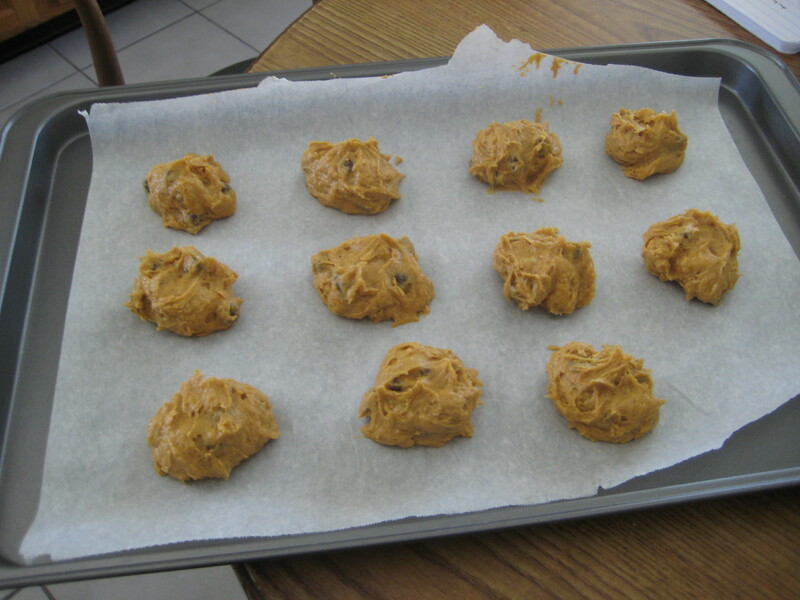 Step 1: Preheat the oven to 350°F and line a baking sheet with parchment paper. 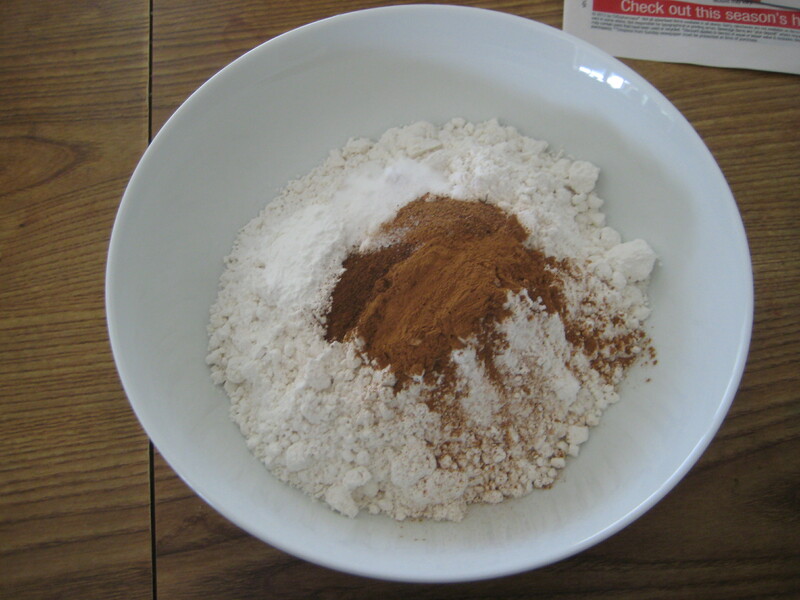 Step 2: In a medium bowl, combine the flour, baking powder, baking soda, cinnamon, nutmeg, cloves, and salt; set aside. 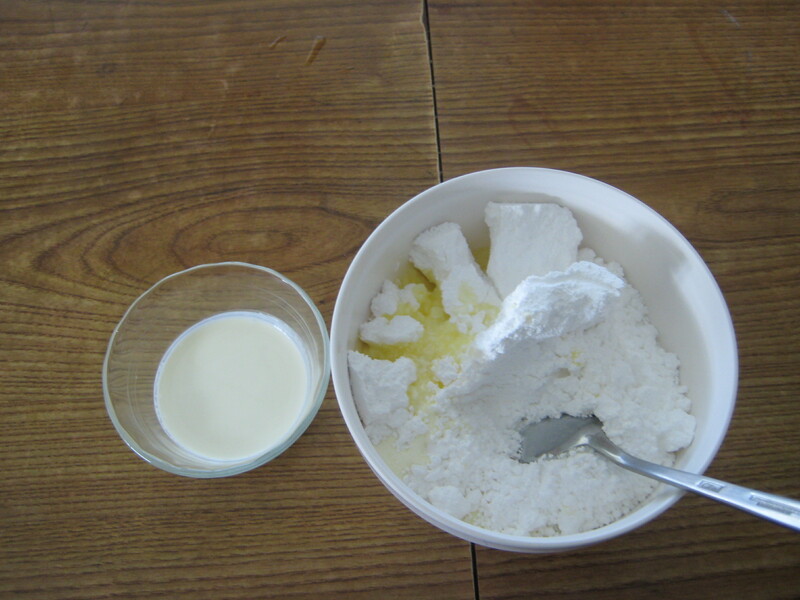 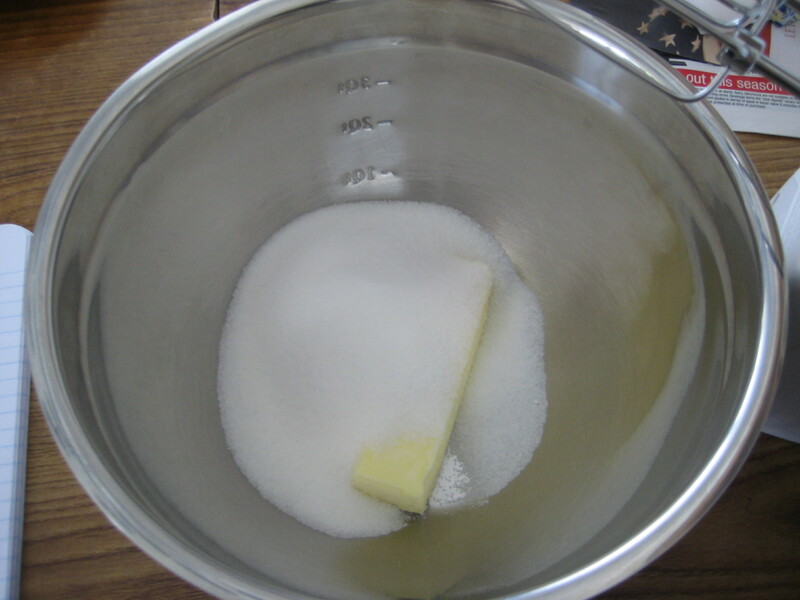 Step 3: In a large bowl, beat together the butter and sugar until creamy. 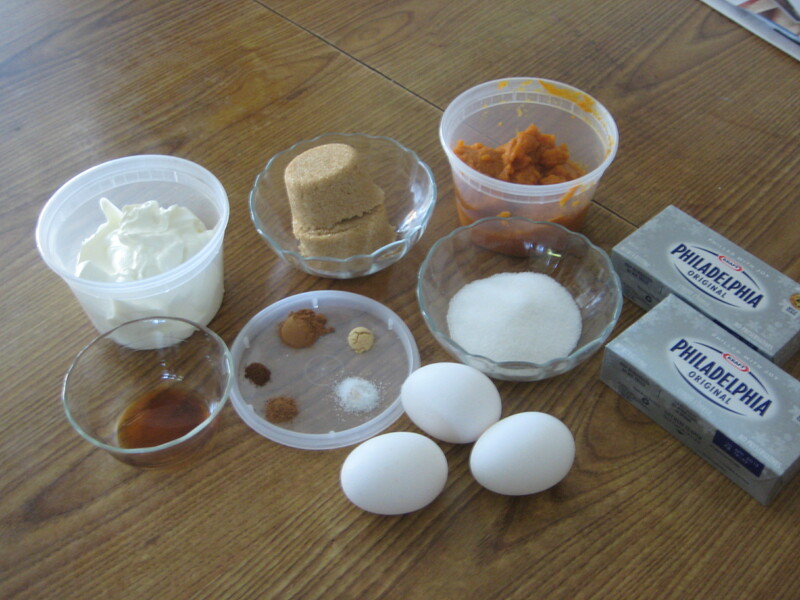 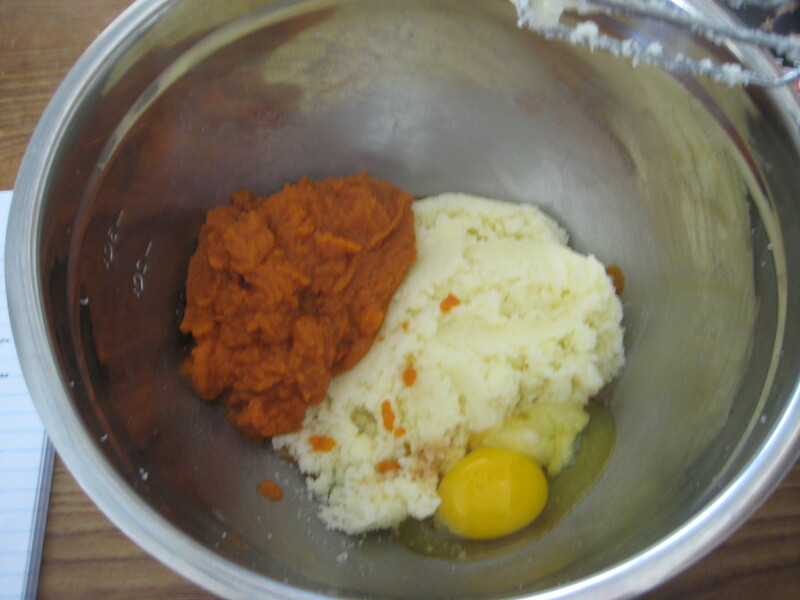 Step 4: Add the pumpkin puree, egg, and vanilla extract; beat until creamy. 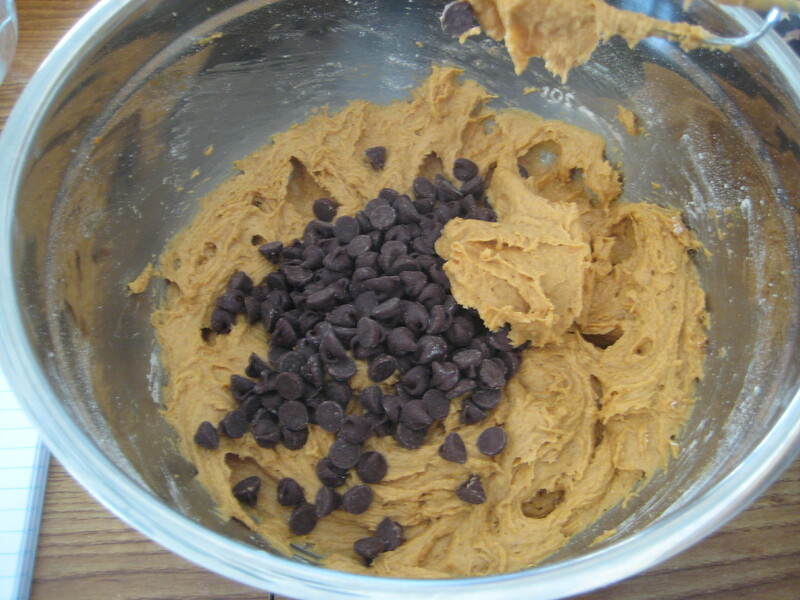 Step 6: Fold in the chocolate chips. 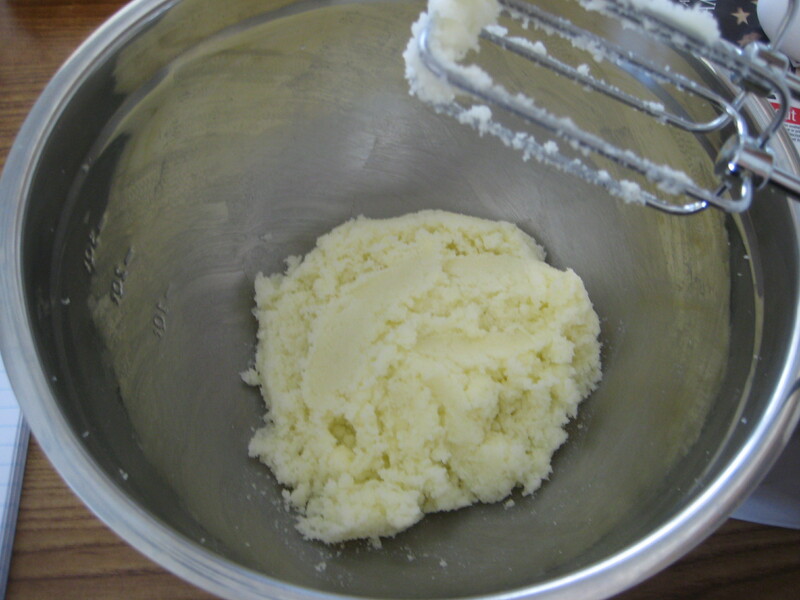 Step 7: Spoon out tablespoon sized dough balls spaced 1-inch apart. 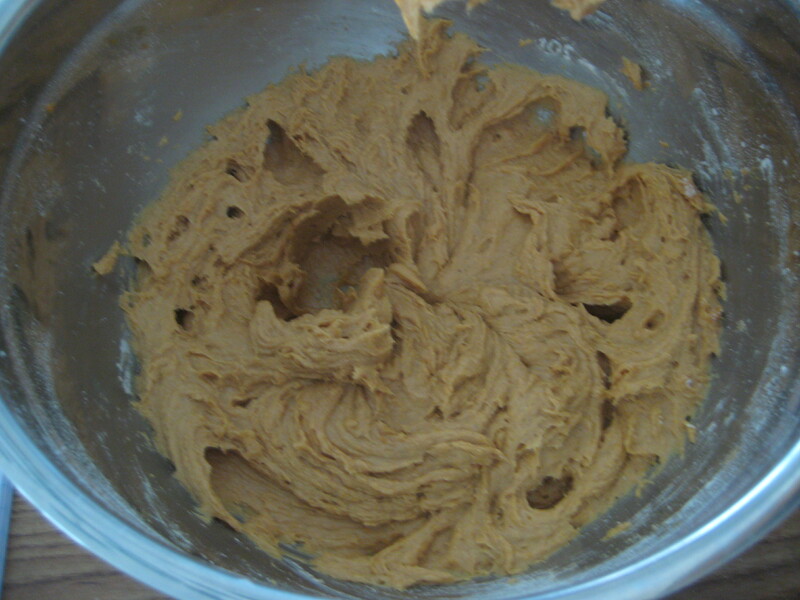 Step 8: Bake for 15-20 minutes. 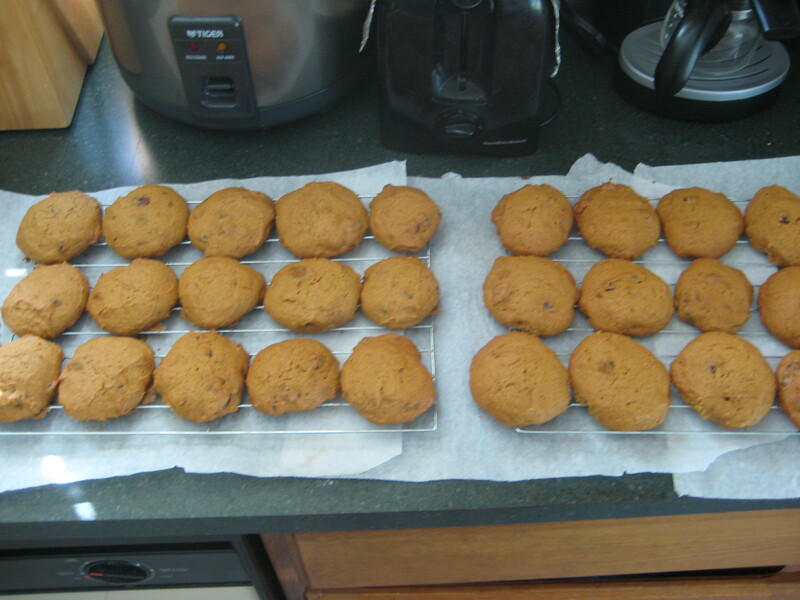 Step 9: Place baking sheet onto a wire rack and cool for 3 minutes. 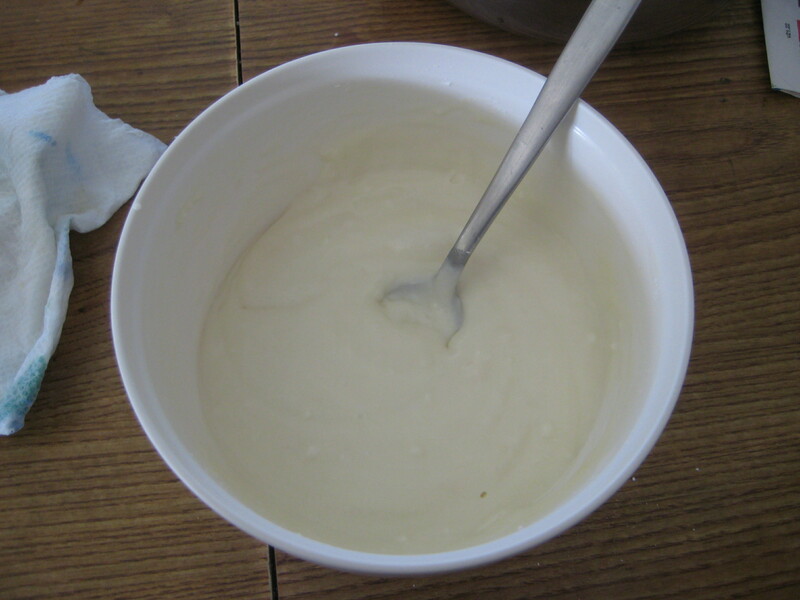 Step 11: Meanwhile, in a small bowl, combine the ingredients for the glaze, while adding 1 tablespoon of milk at a time until it’s the right consistency. 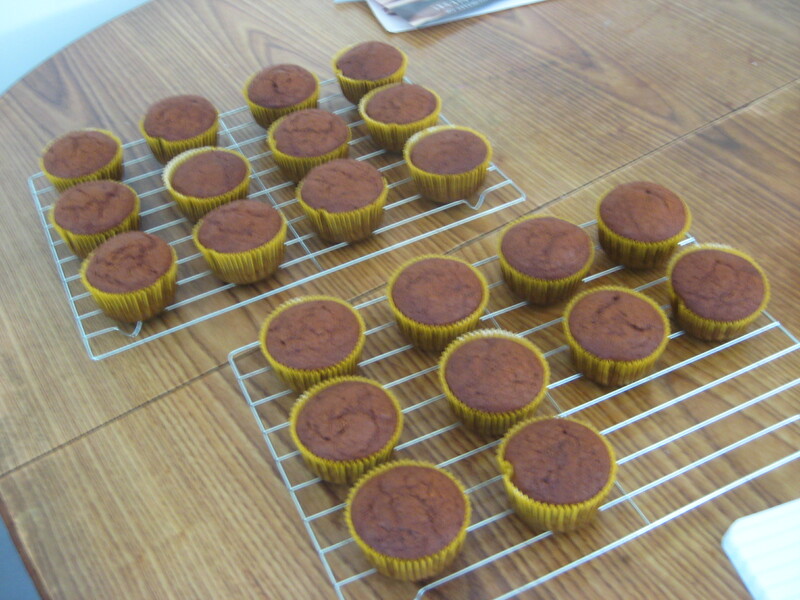 Step 12: Place the parchment sheet beneath the wire racks. 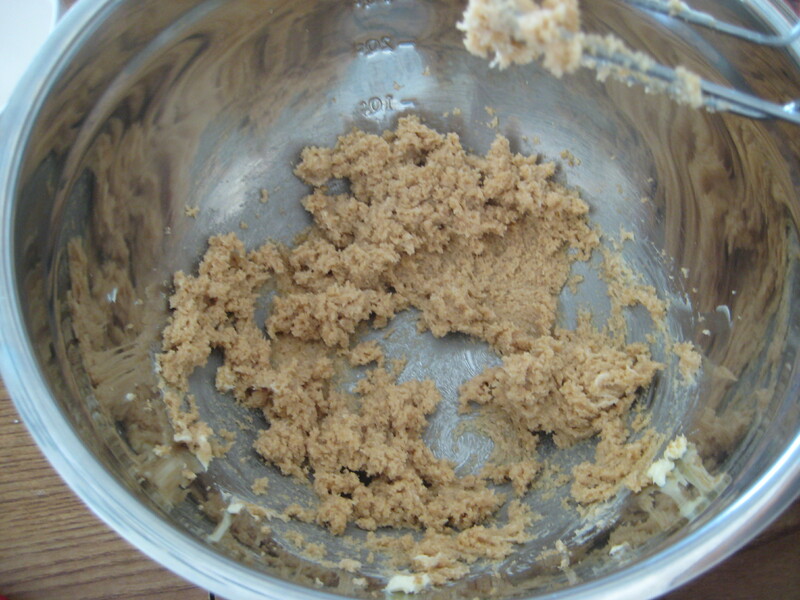 Step 13: Drizzle the glaze over the top of the cookies. 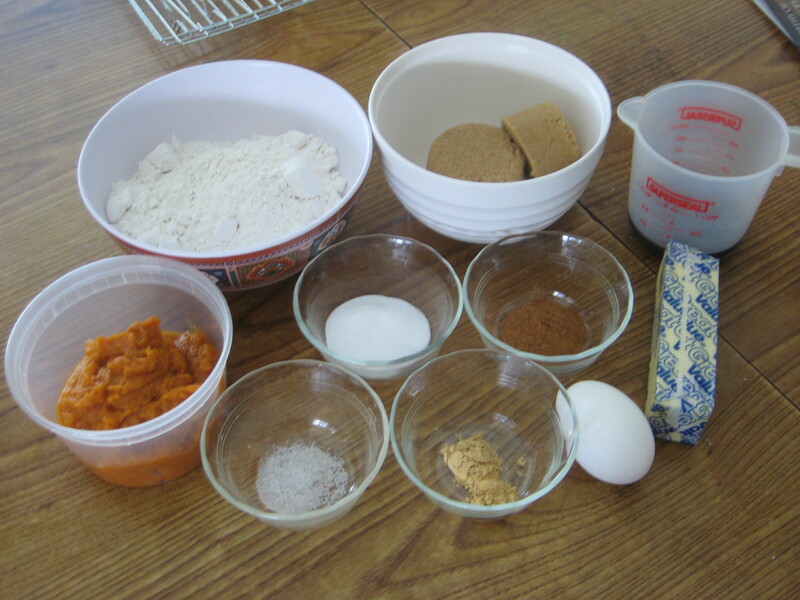 Step 14: Store on the counter.